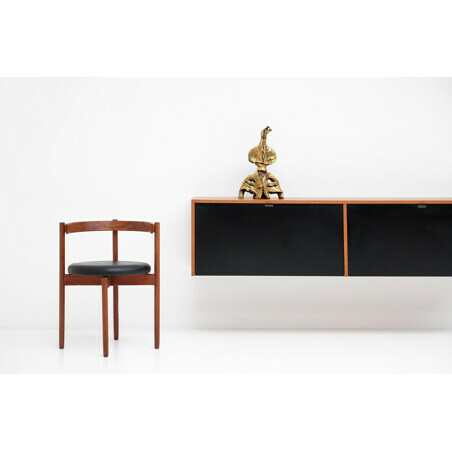 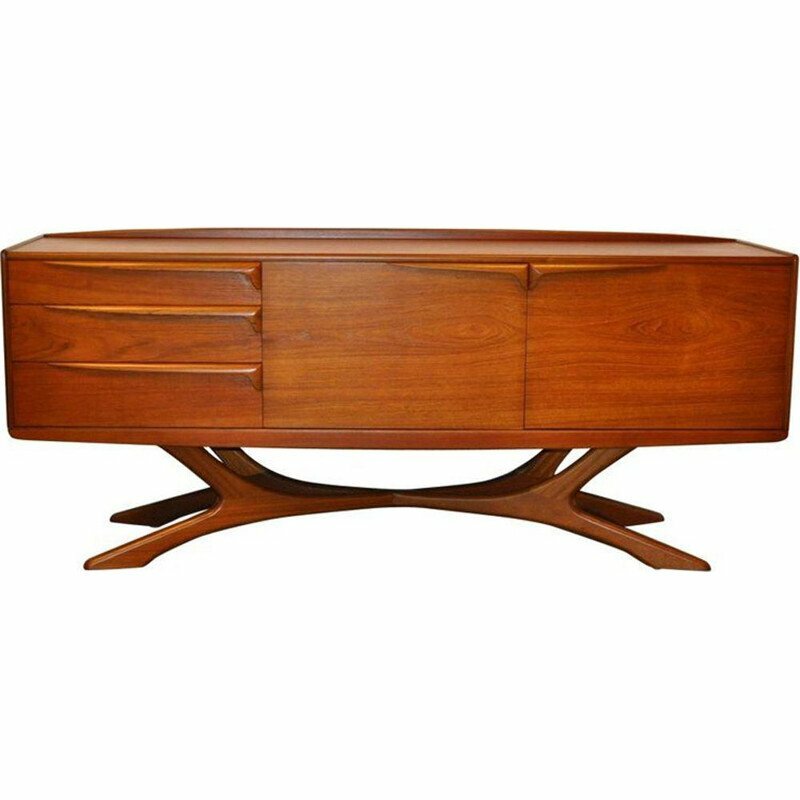 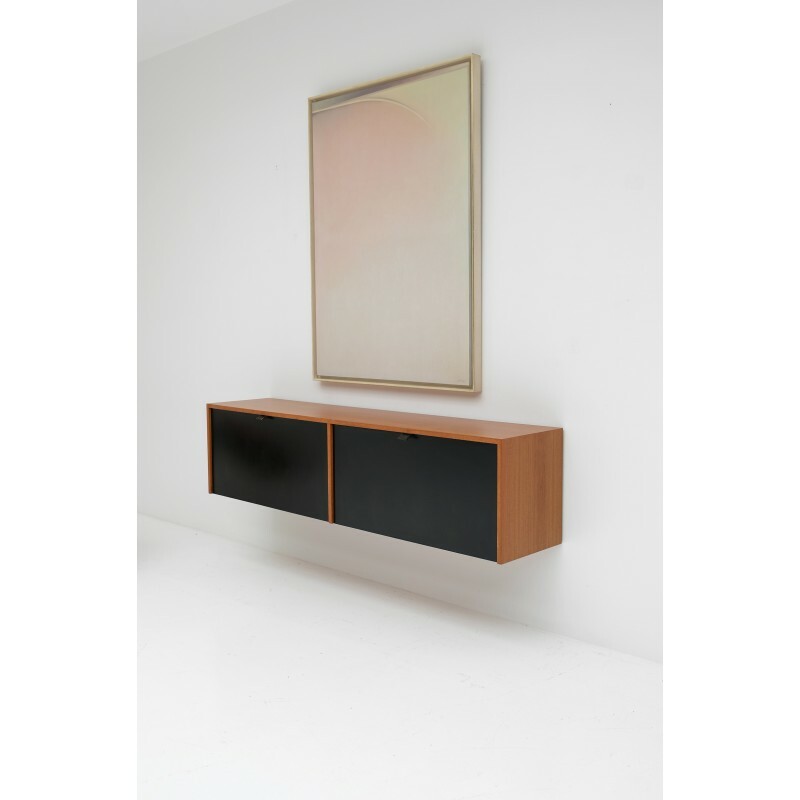 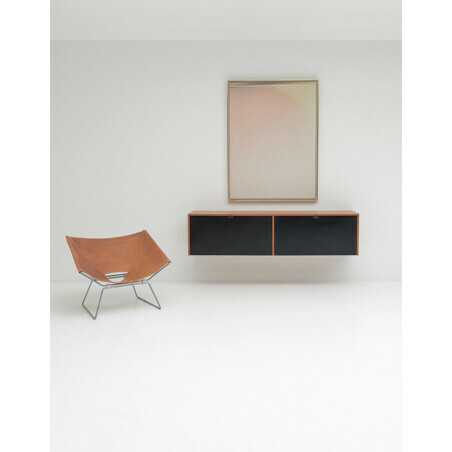 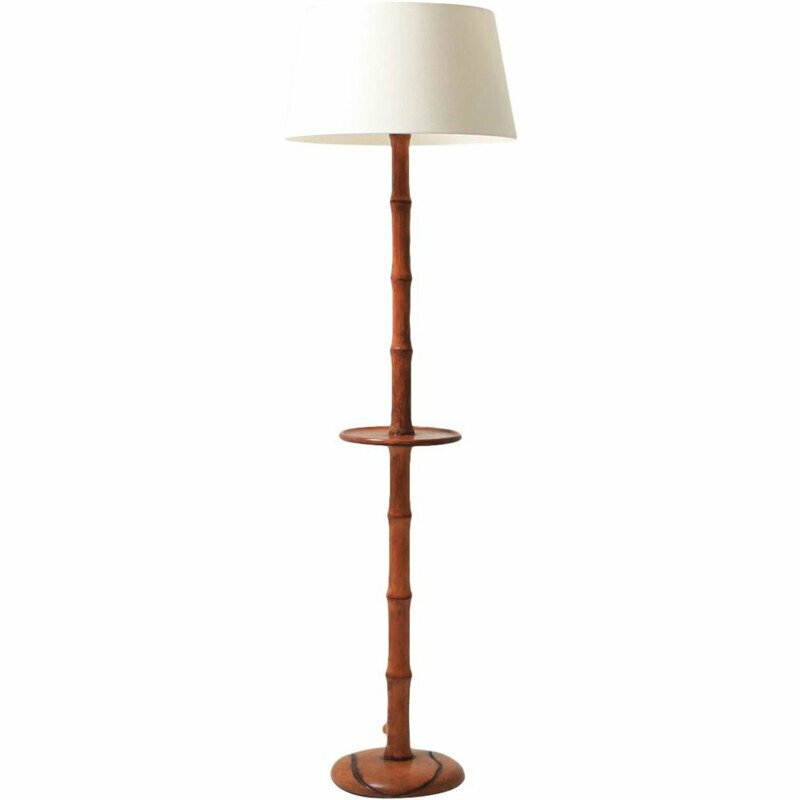 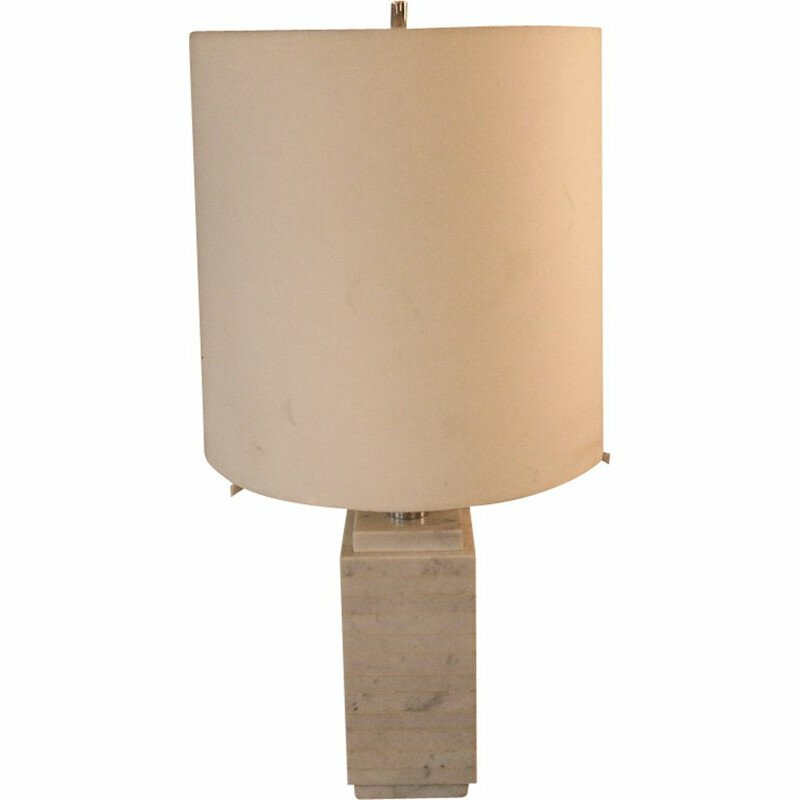 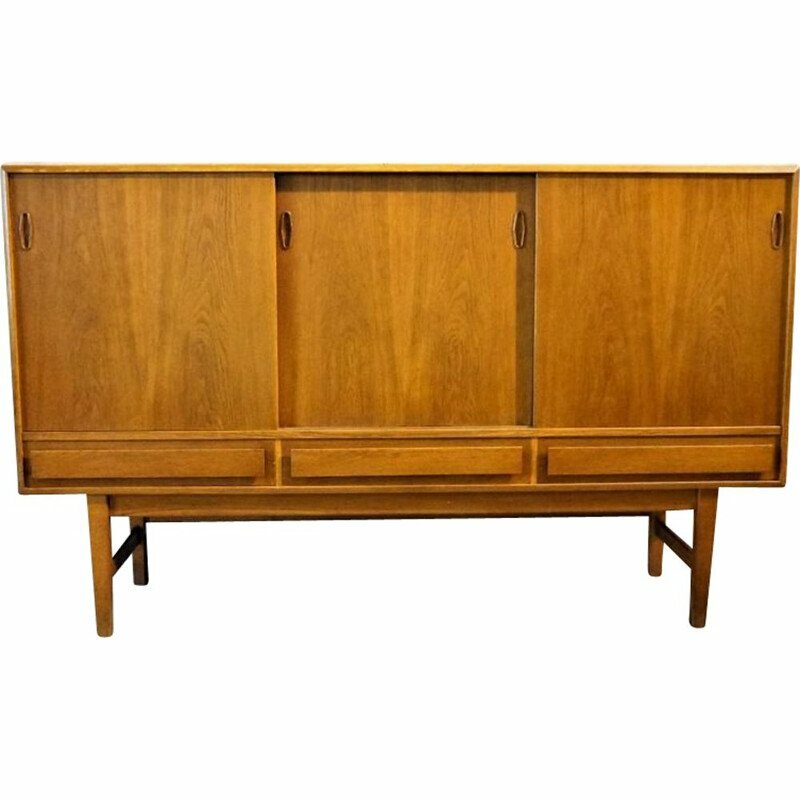 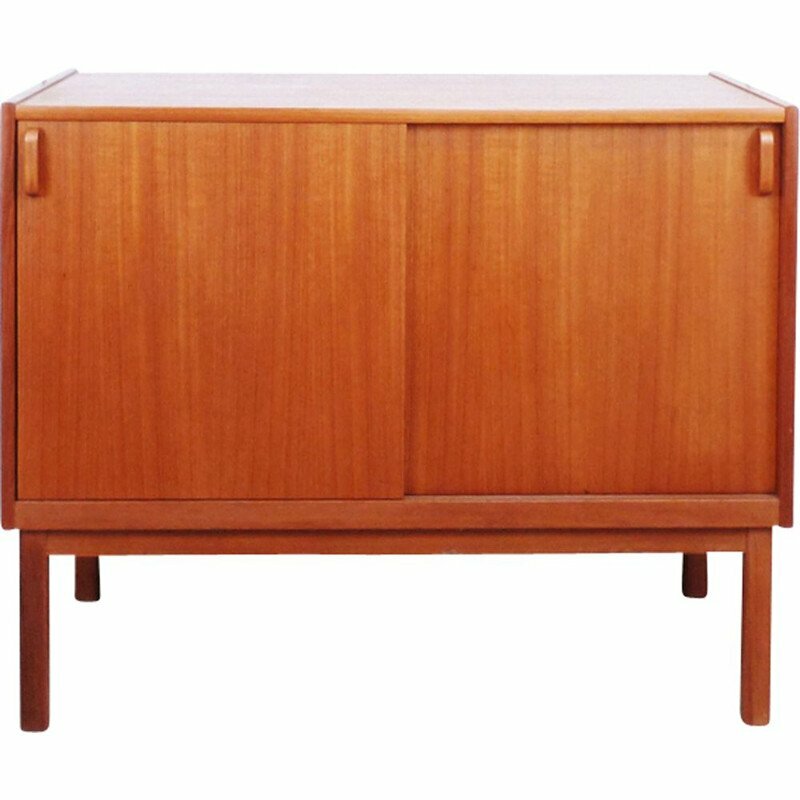 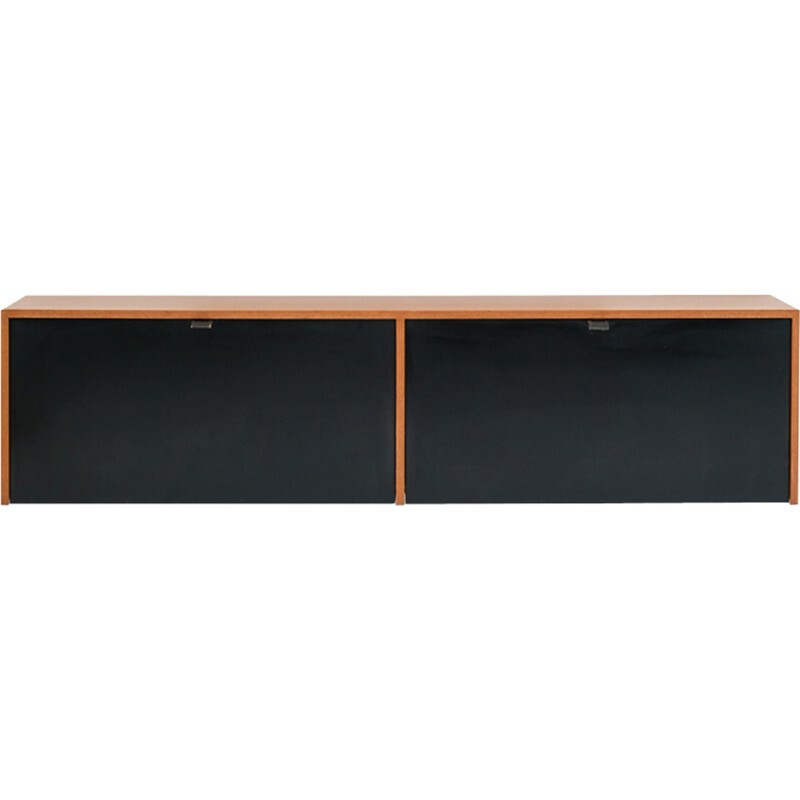 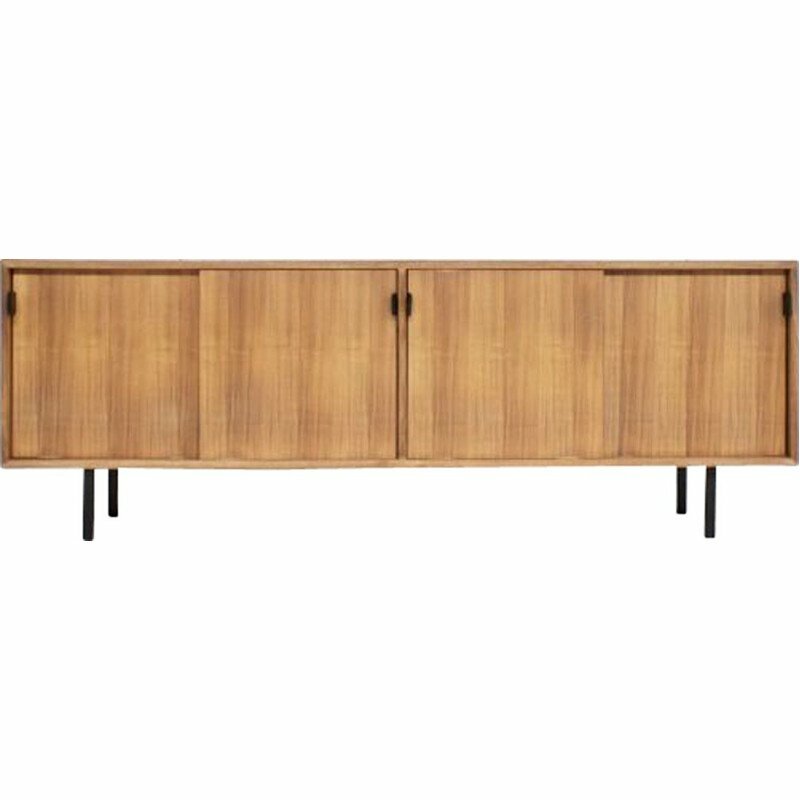 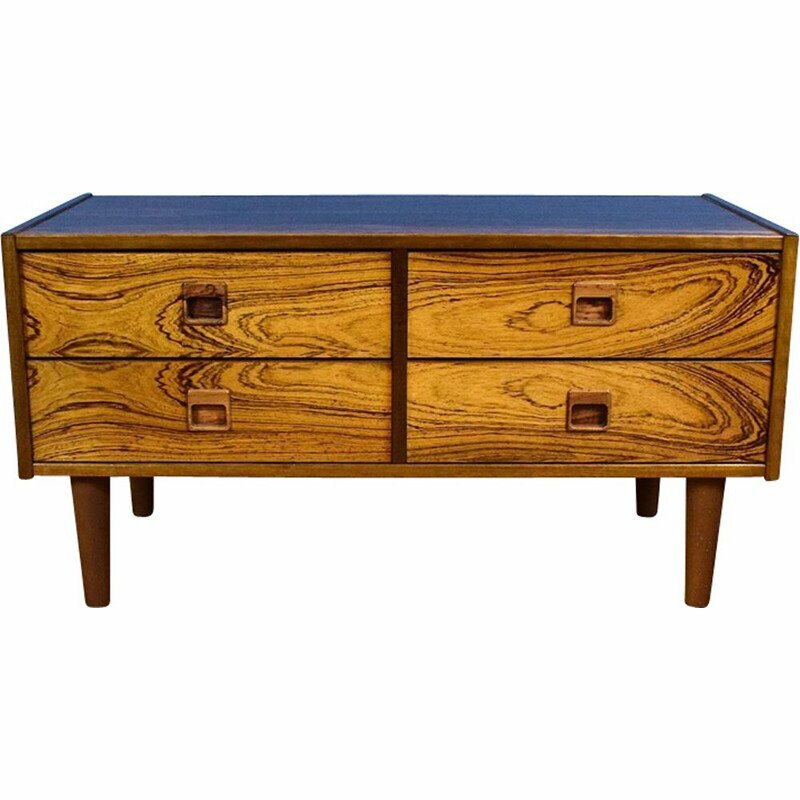 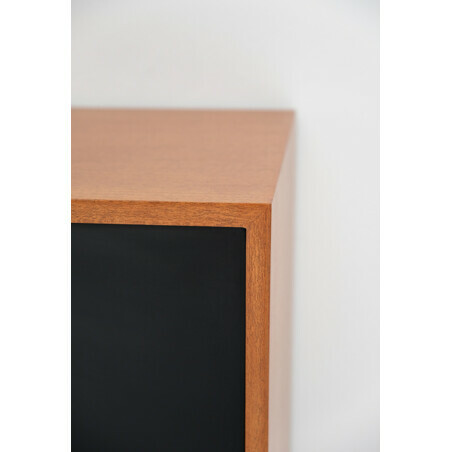 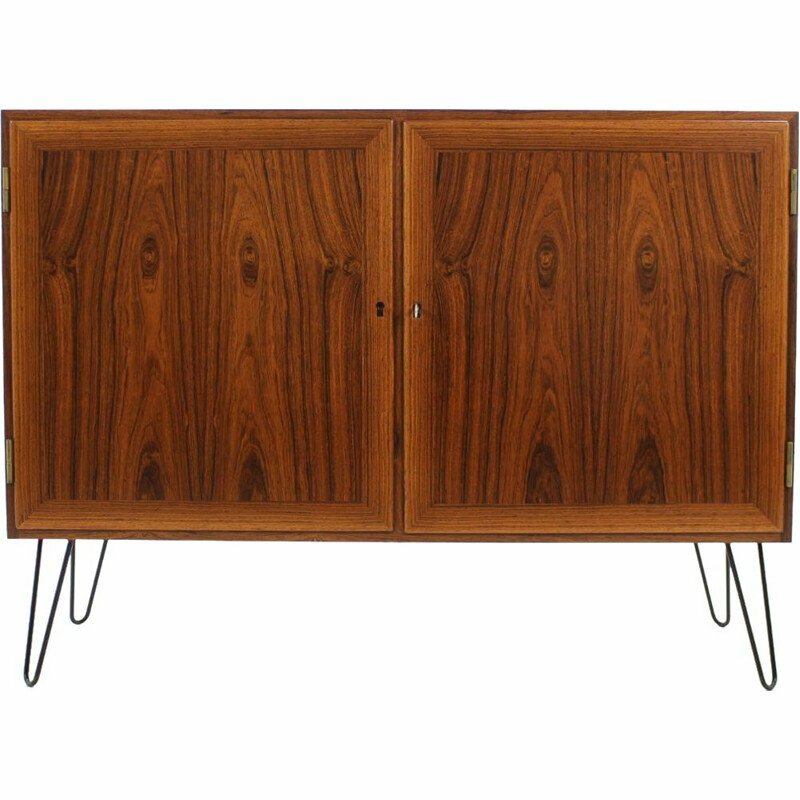 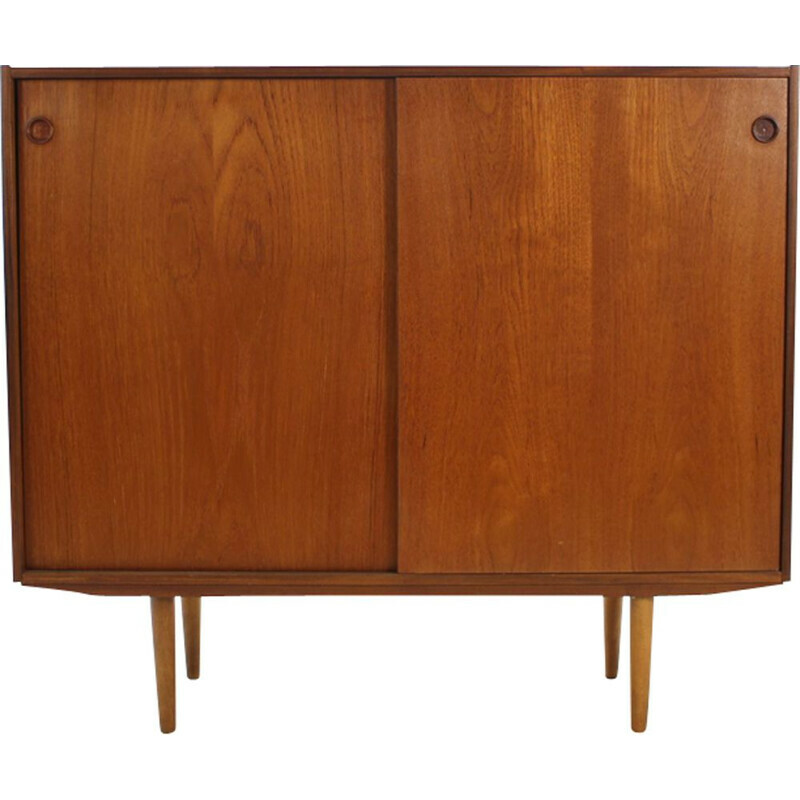 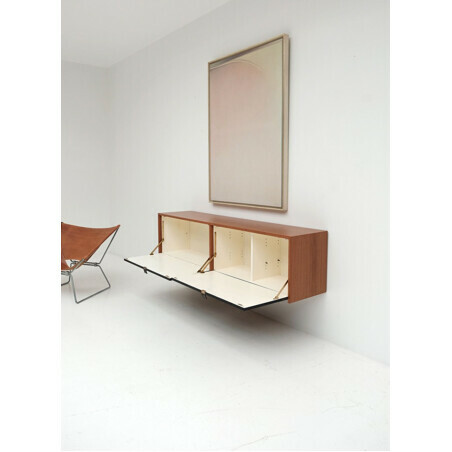 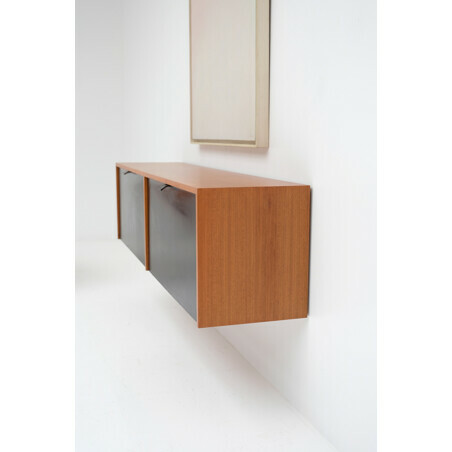 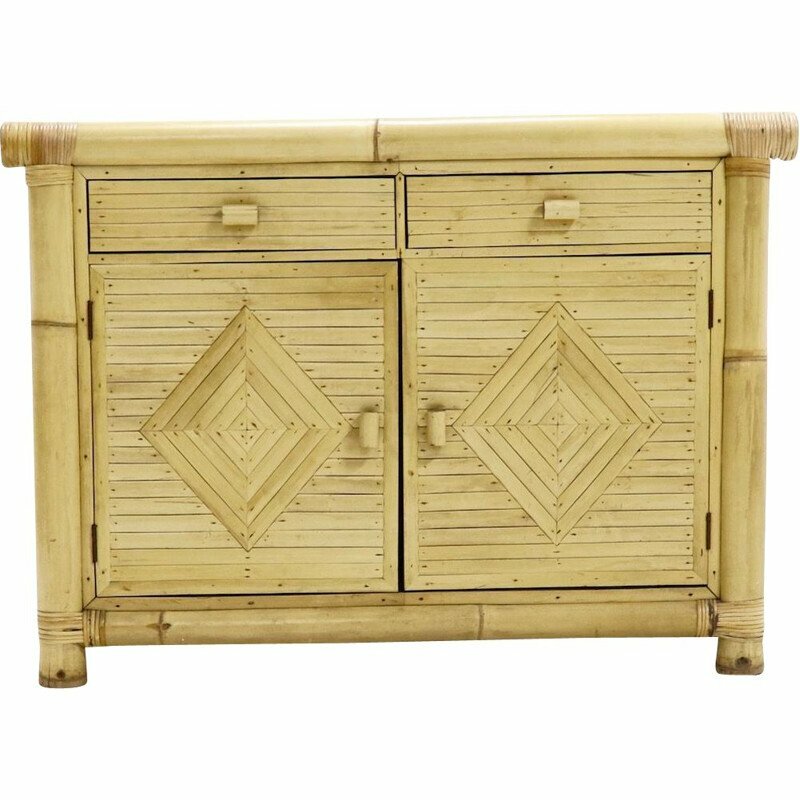 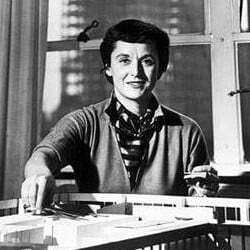 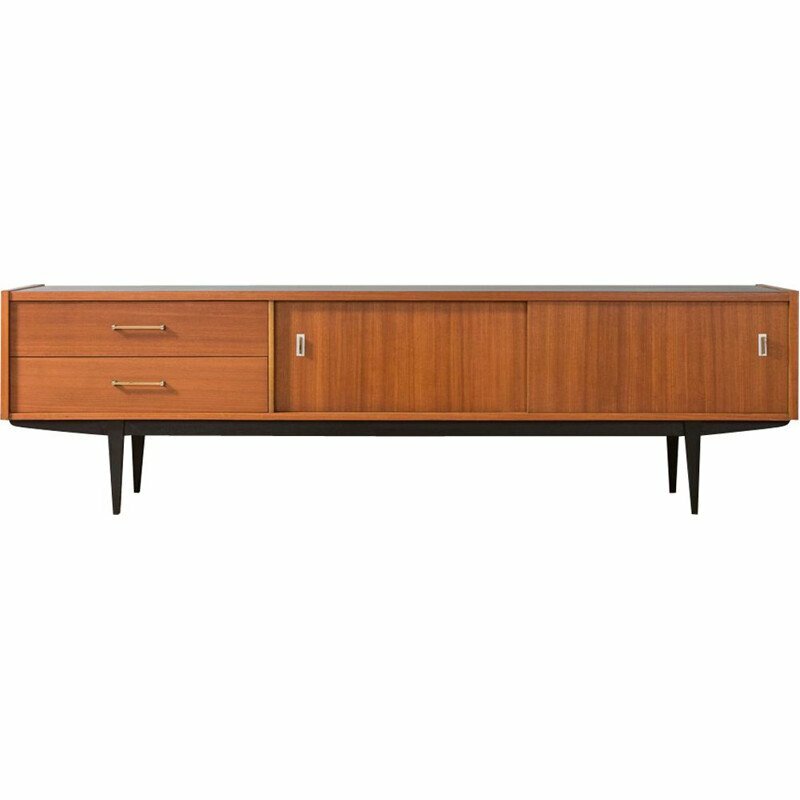 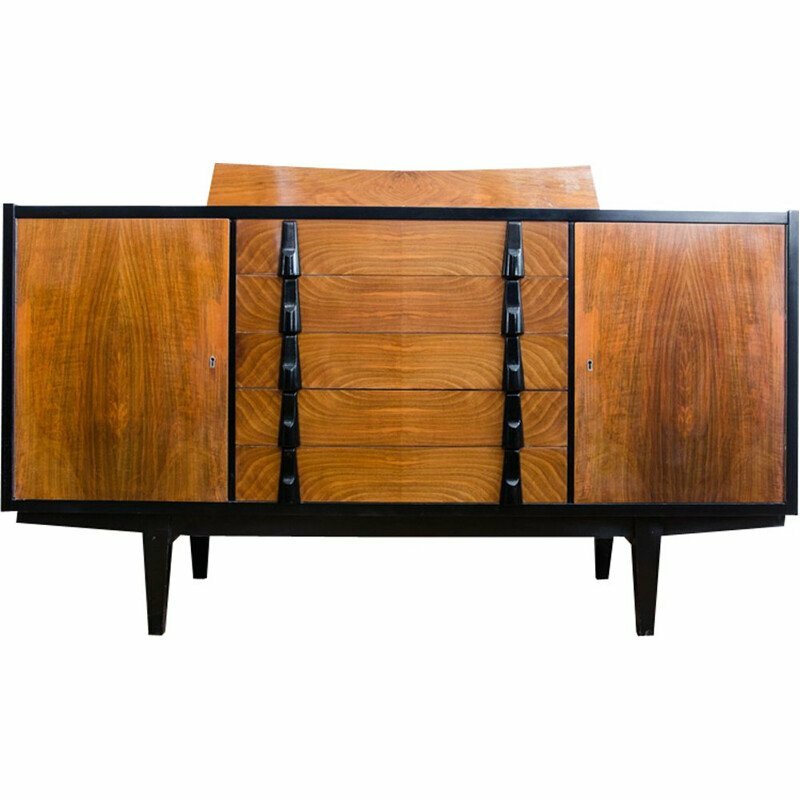 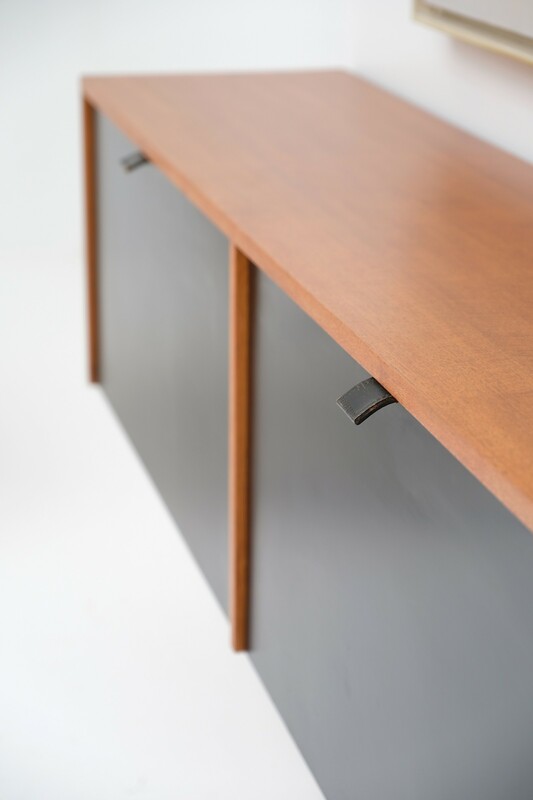 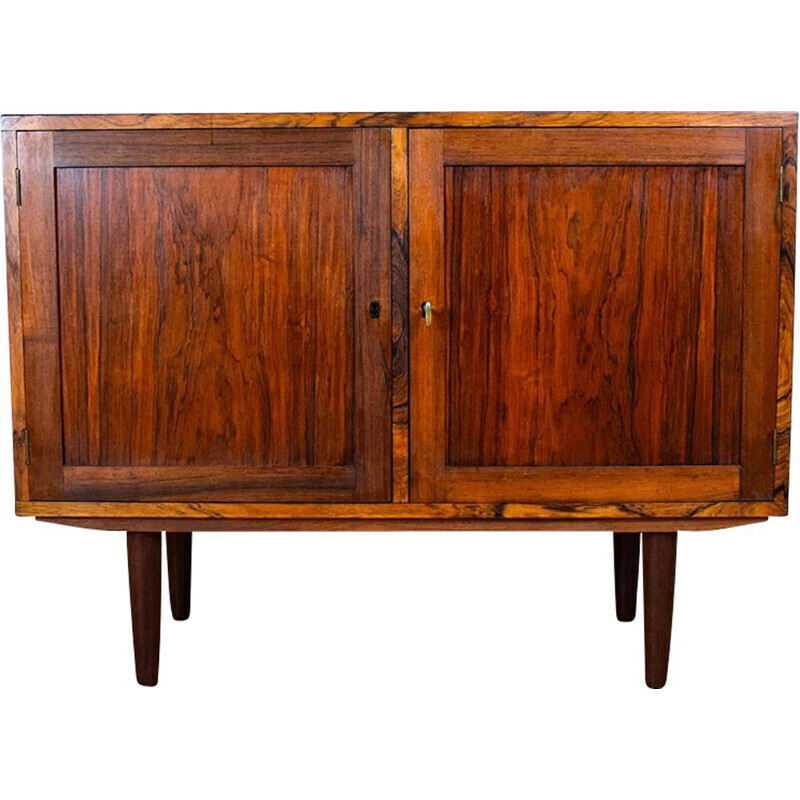 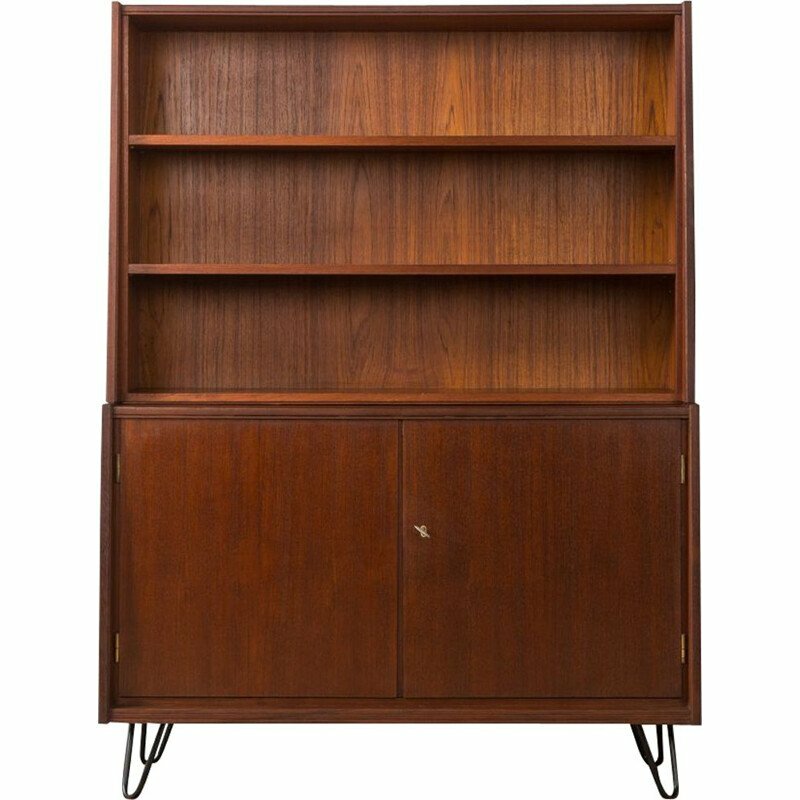 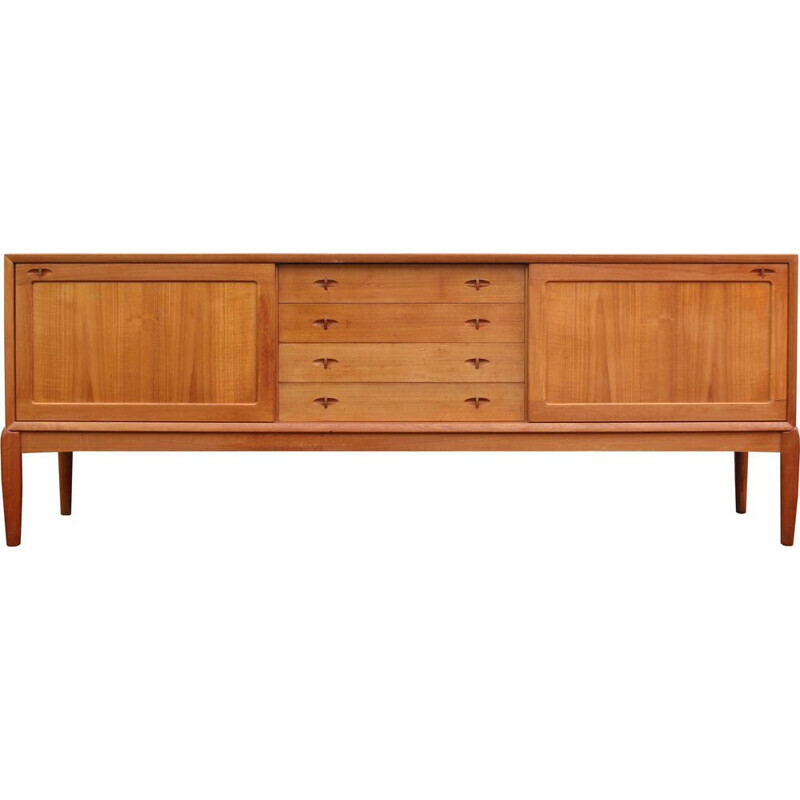 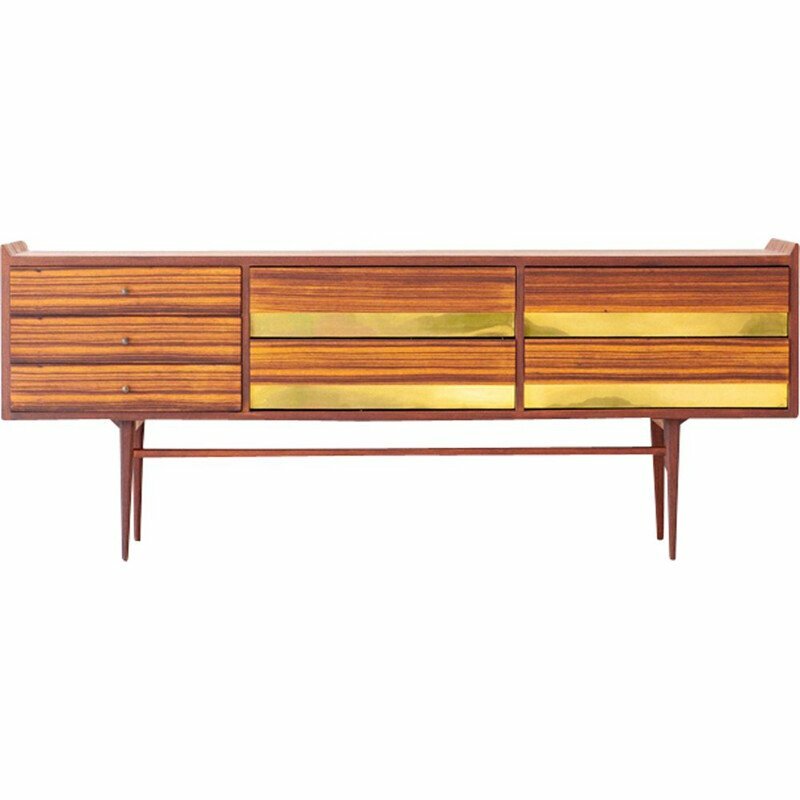 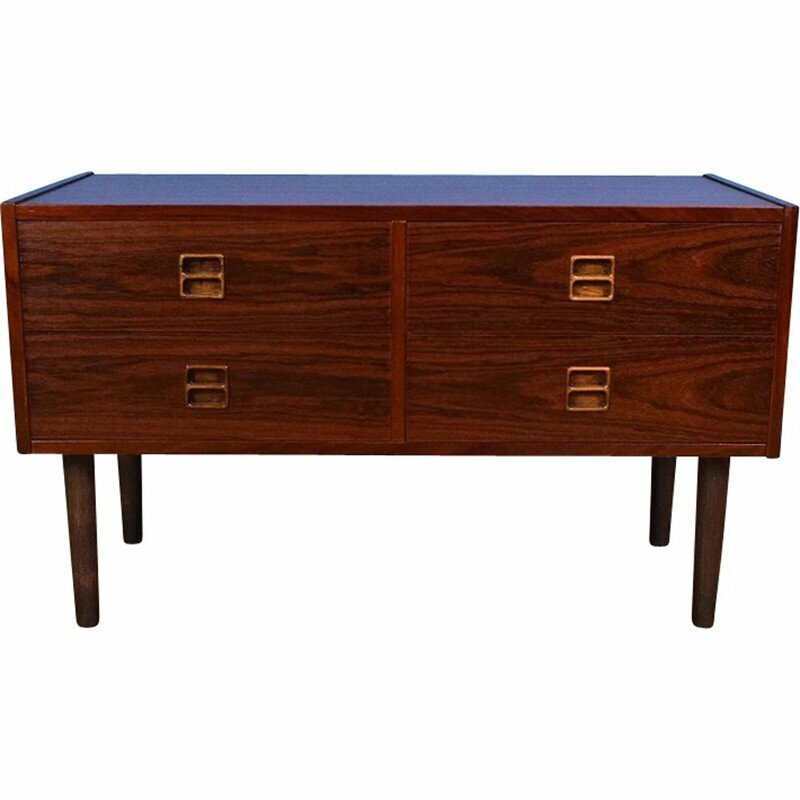 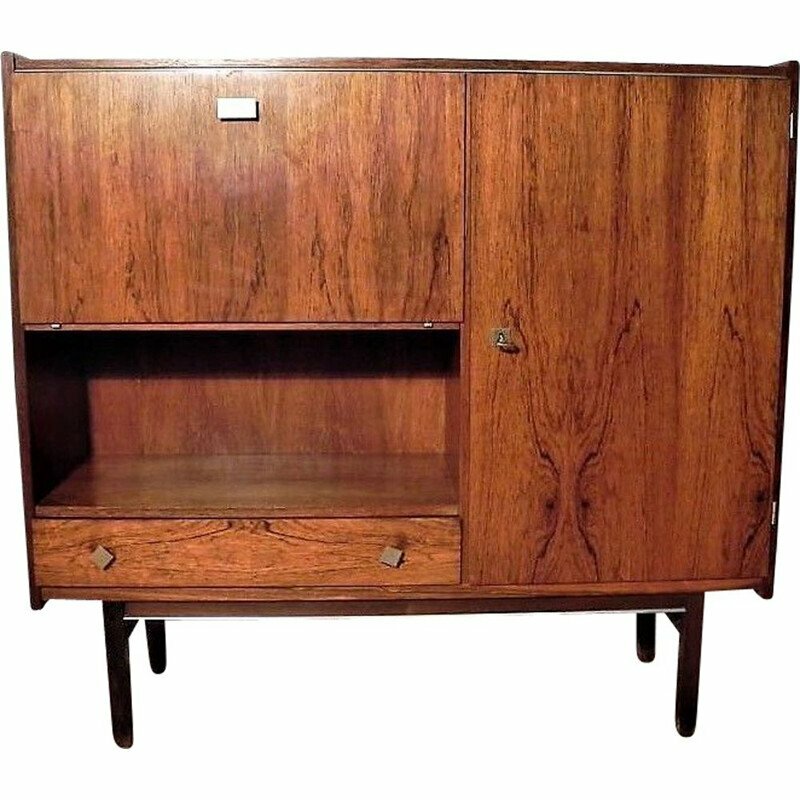 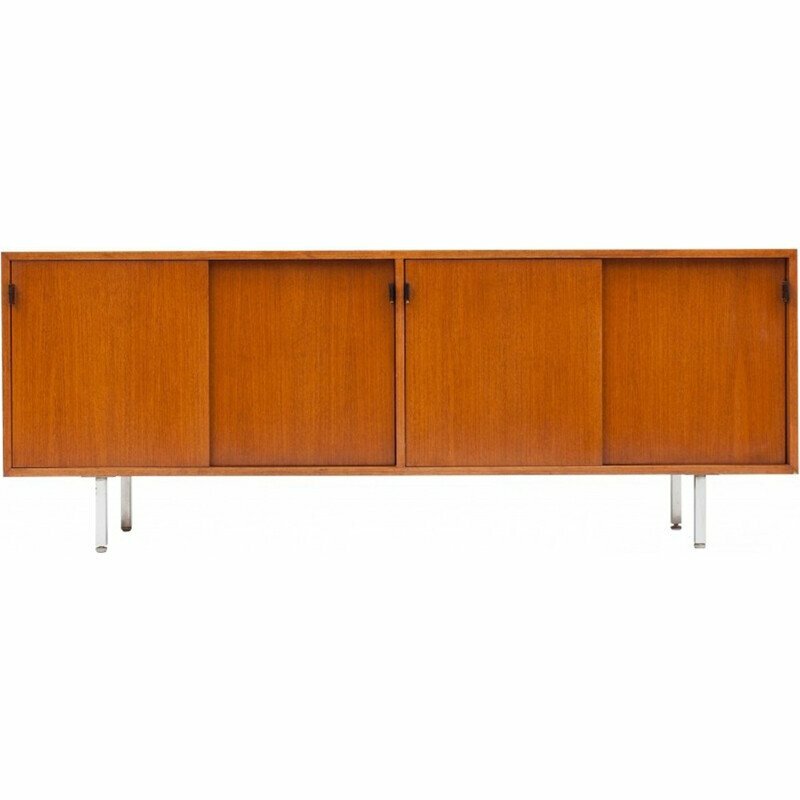 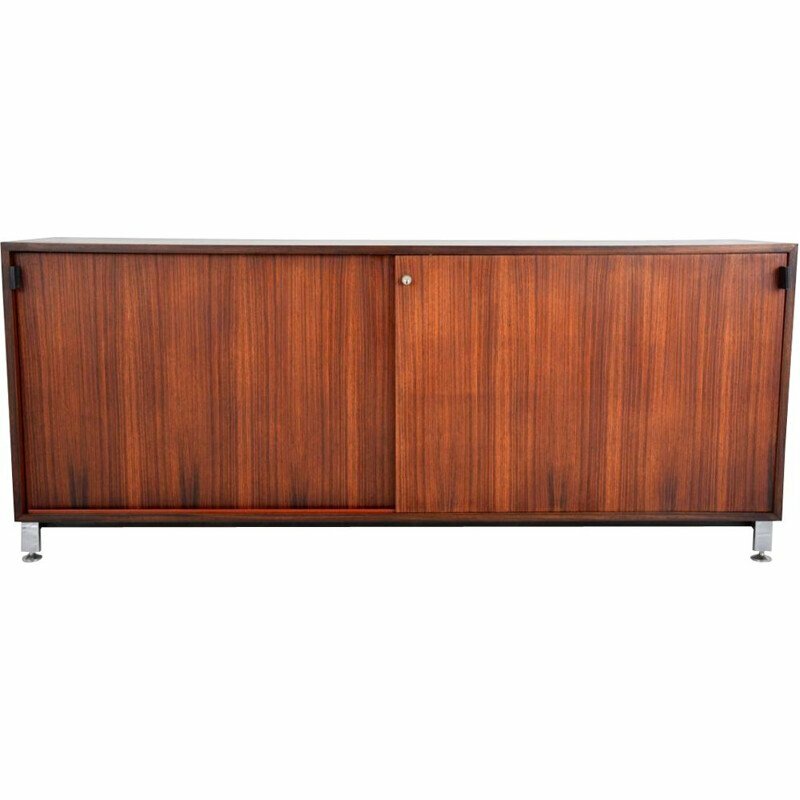 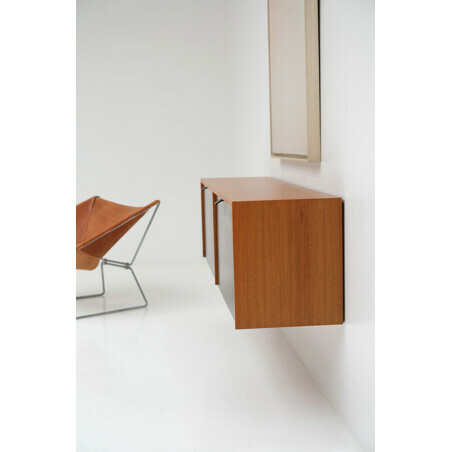 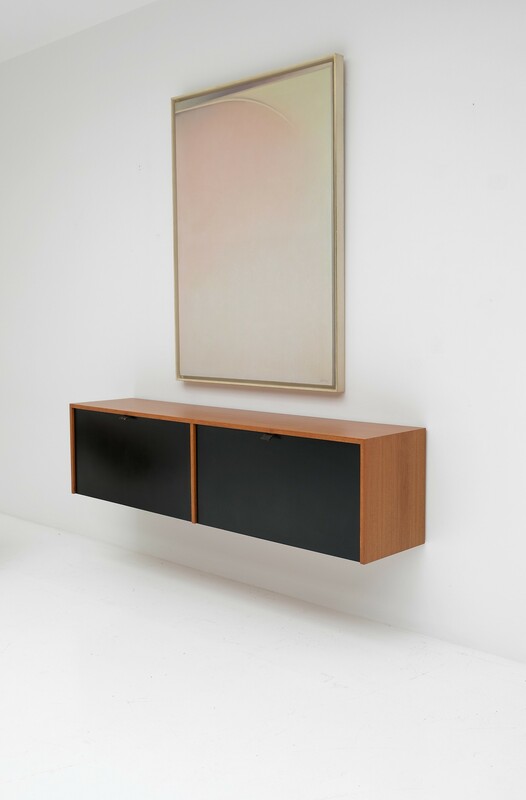 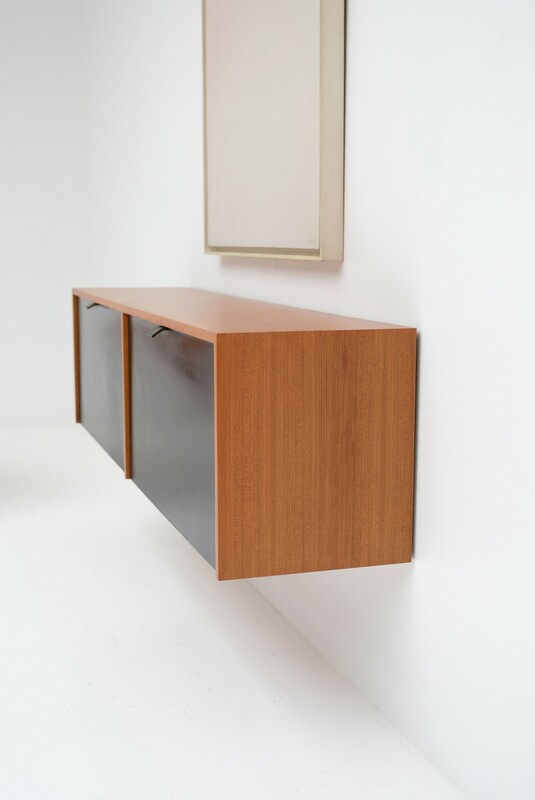 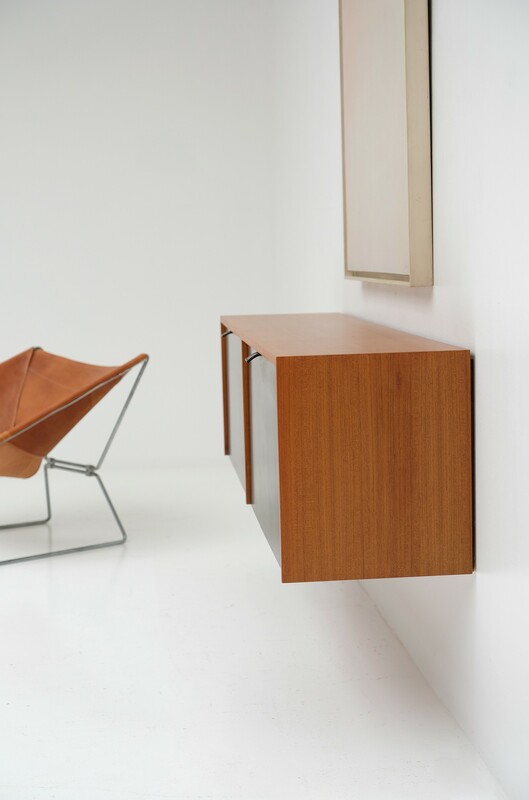 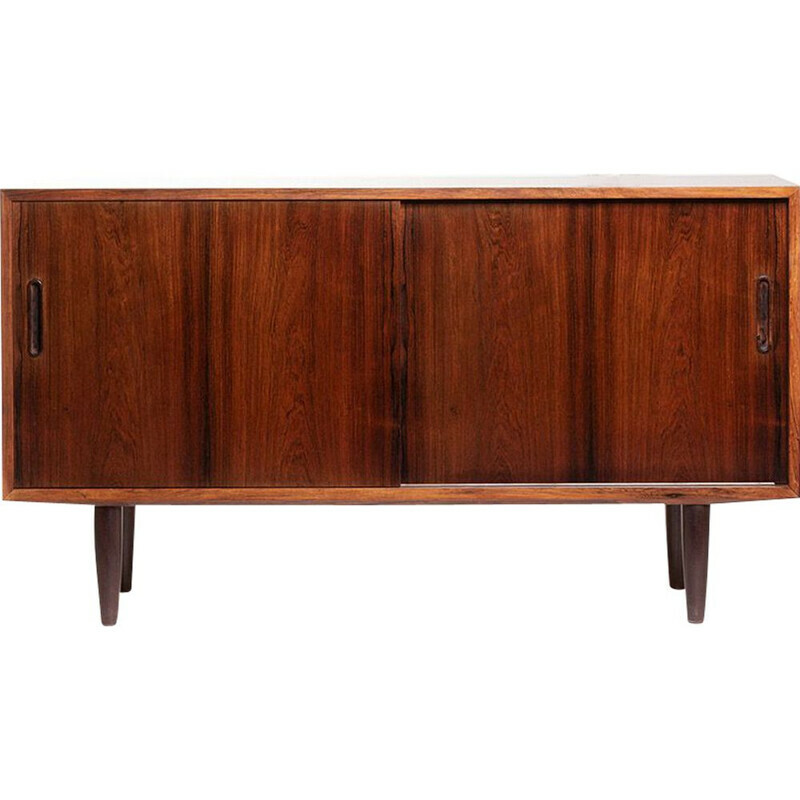 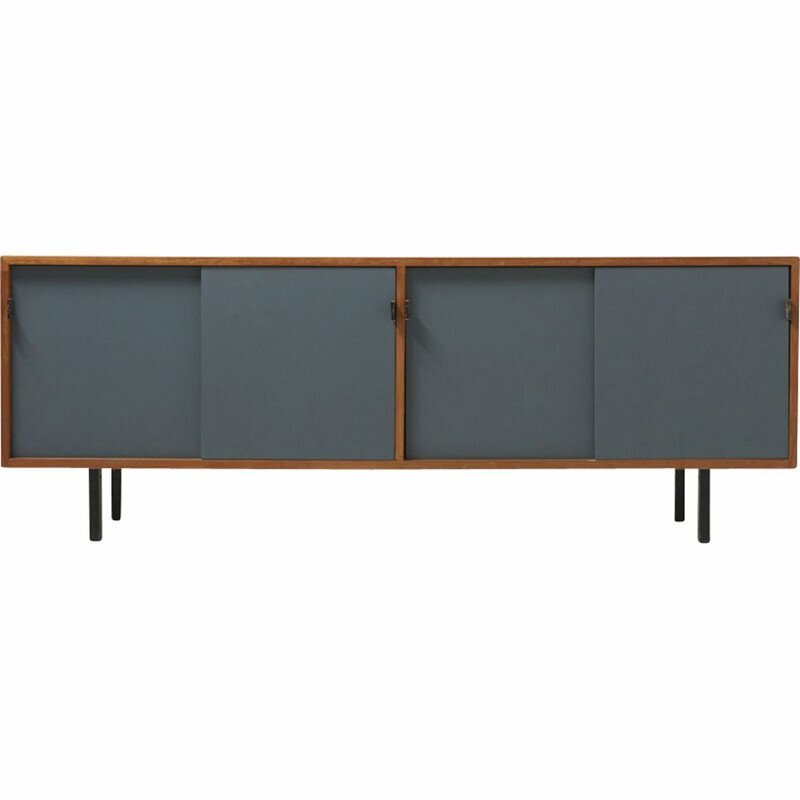 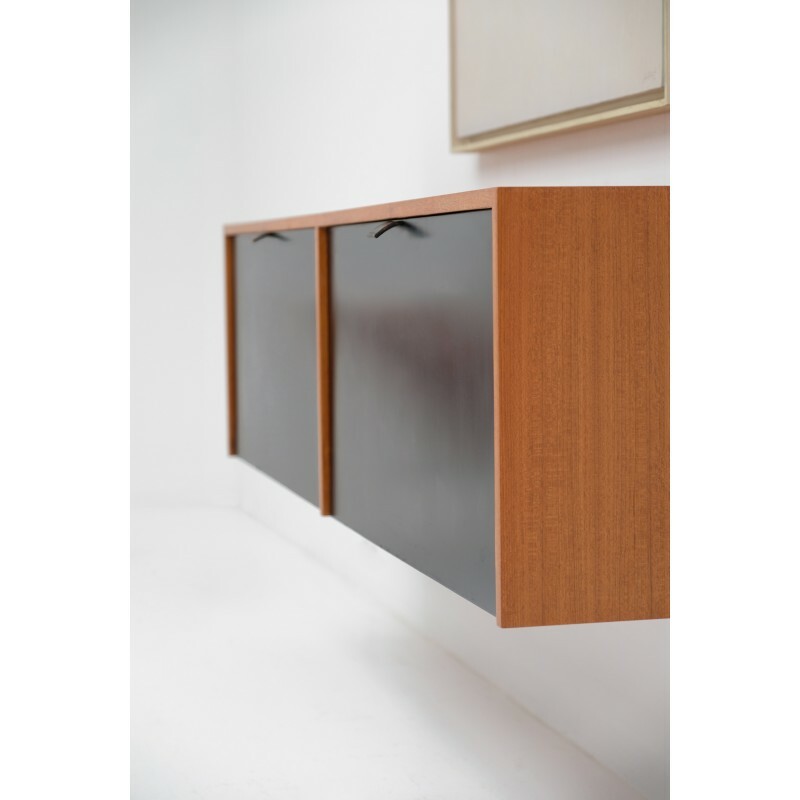 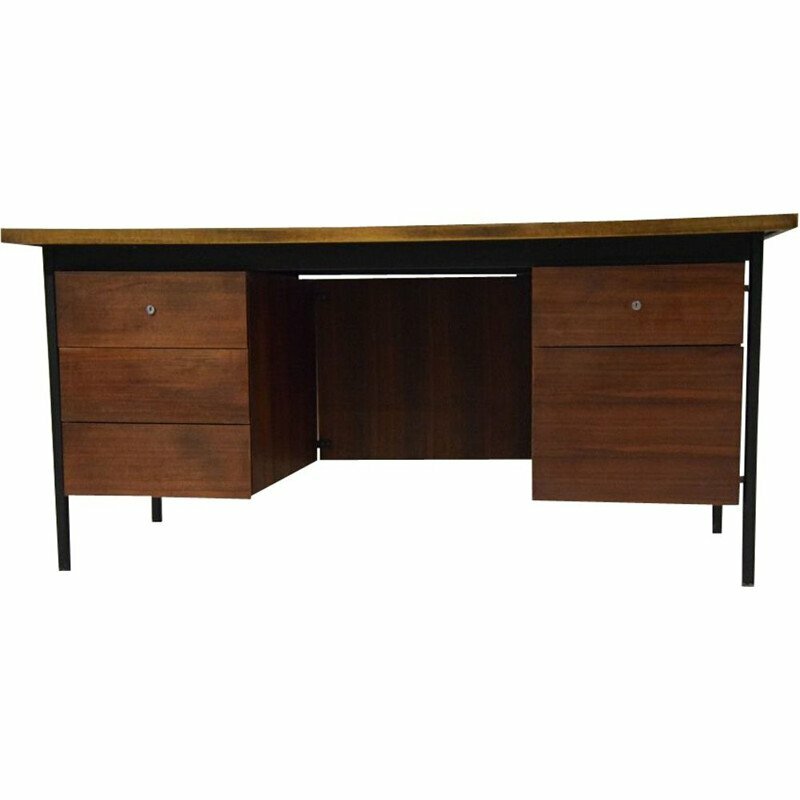 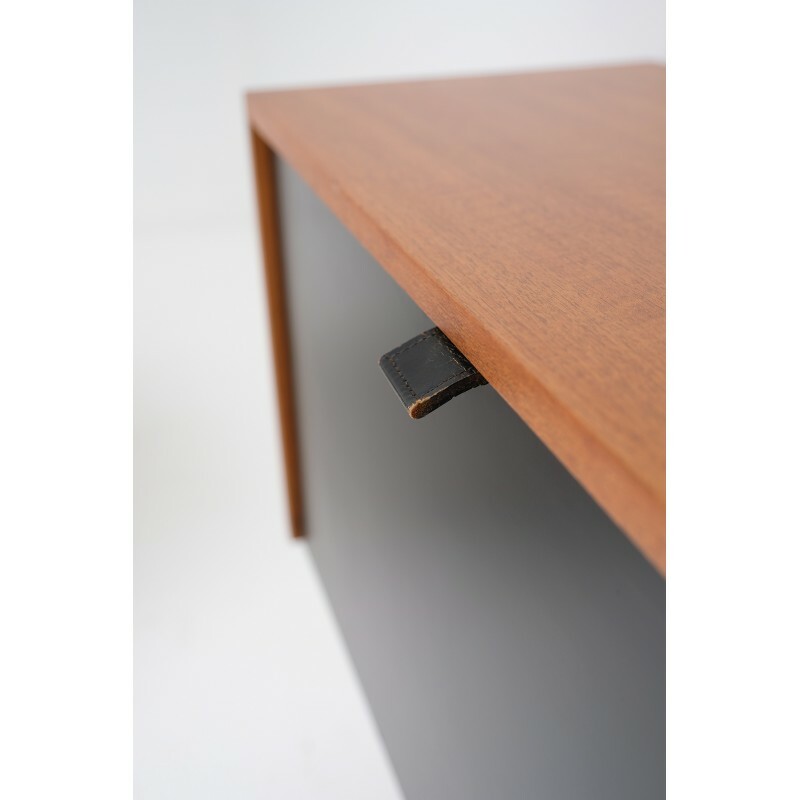 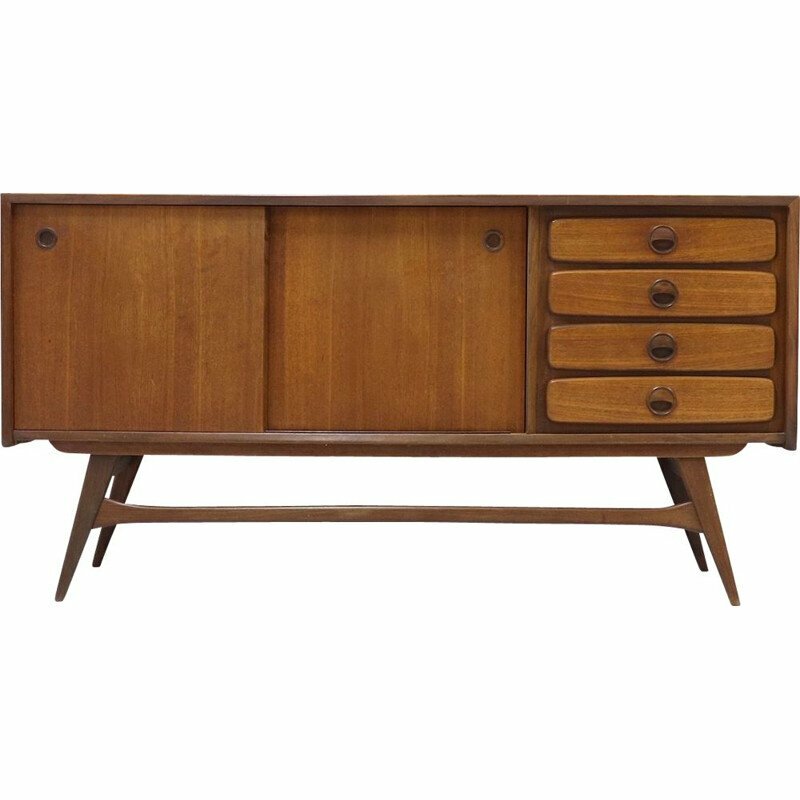 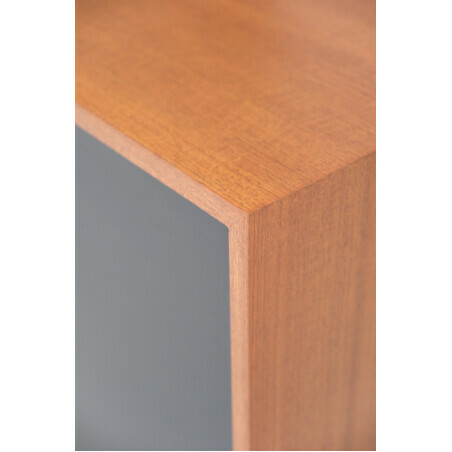 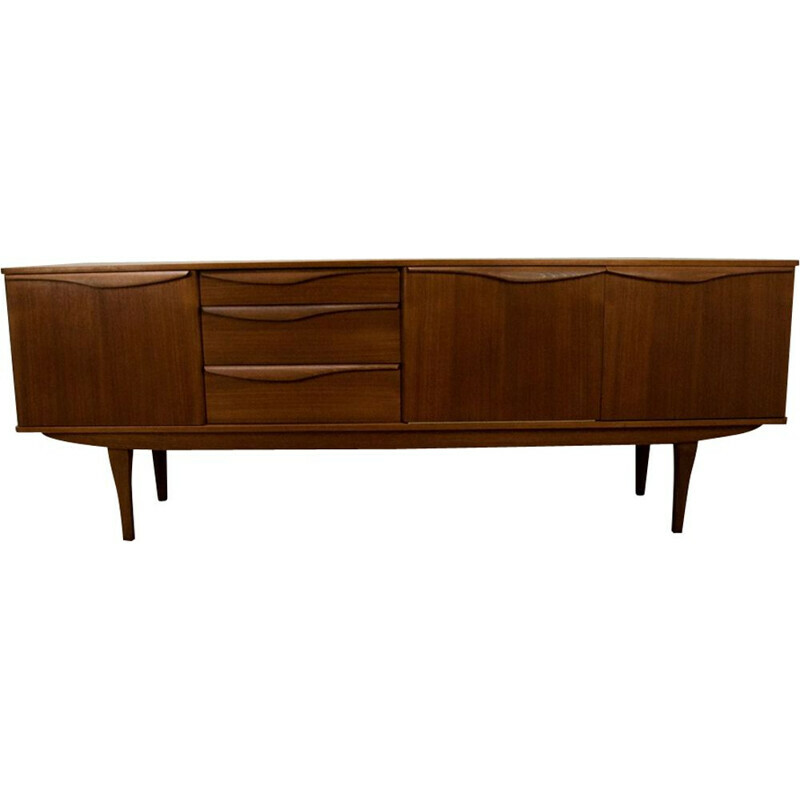 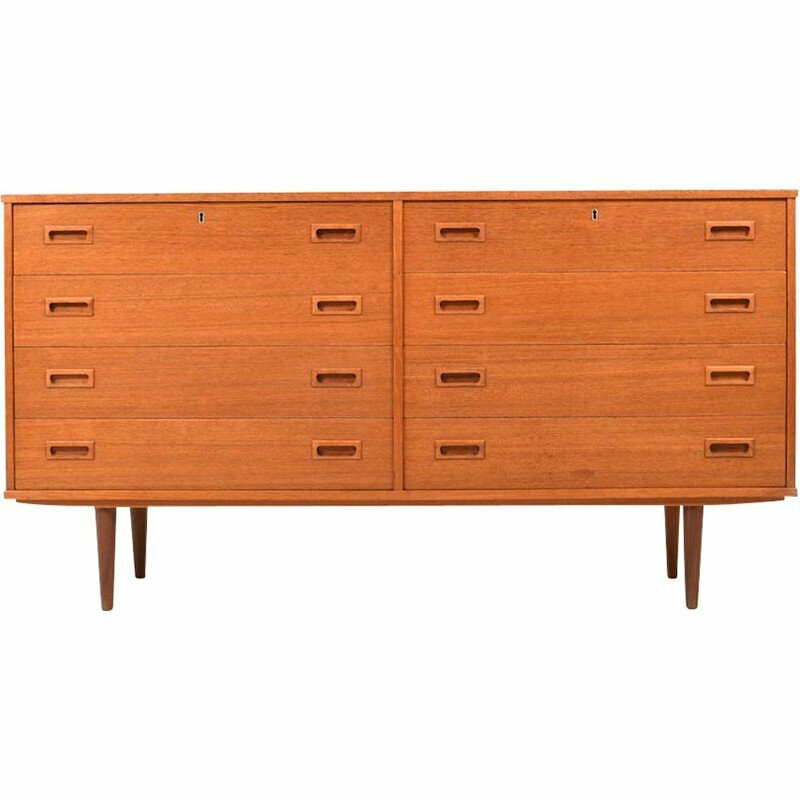 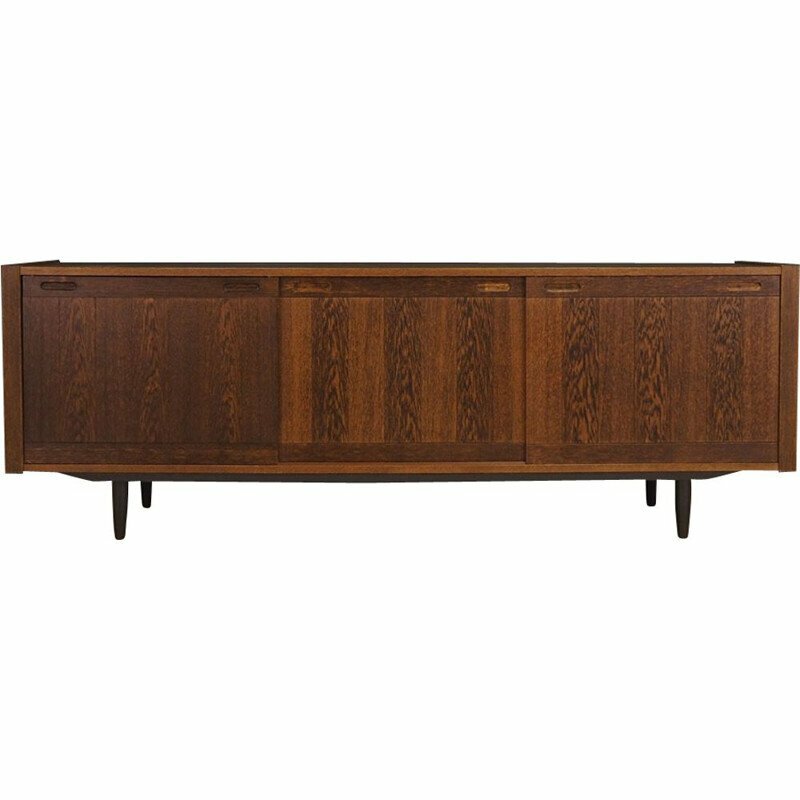 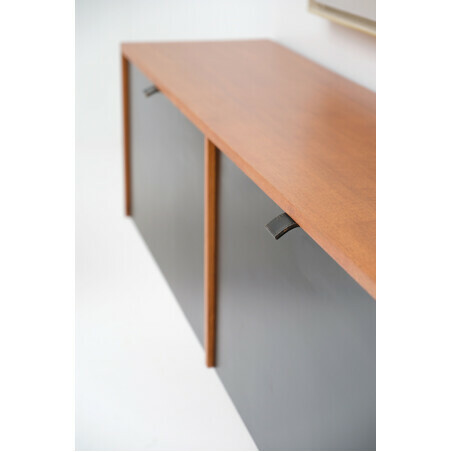 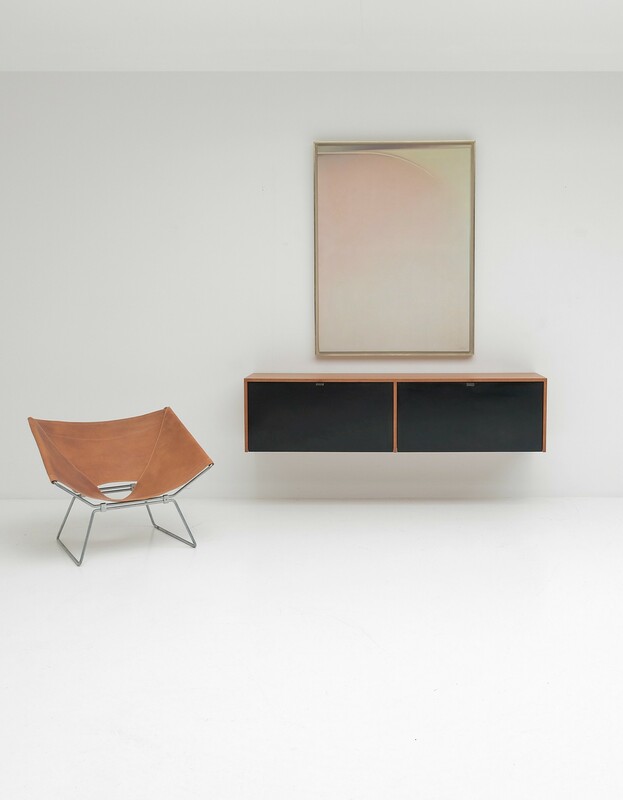 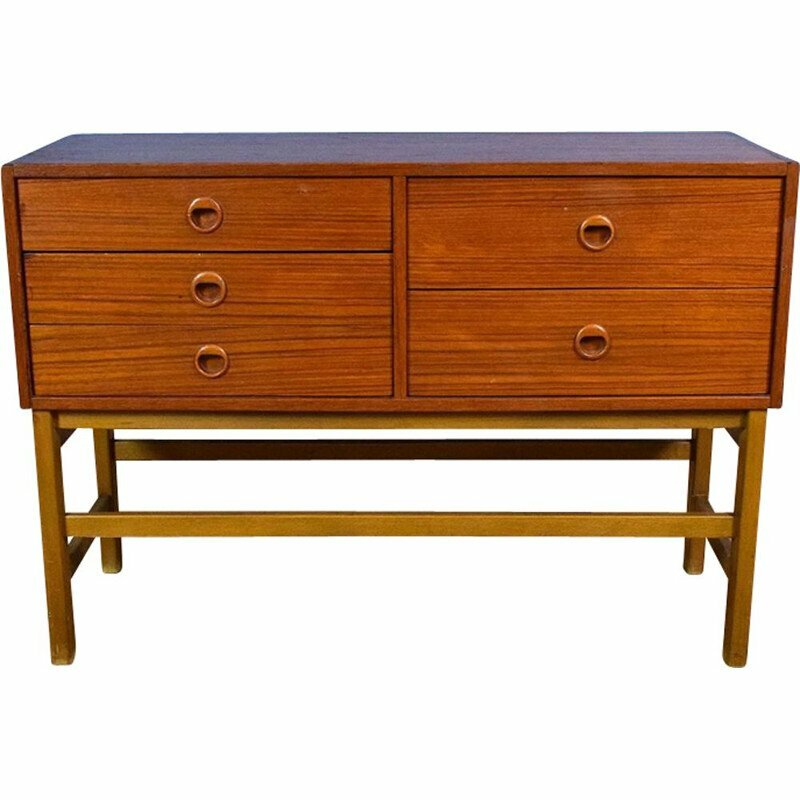 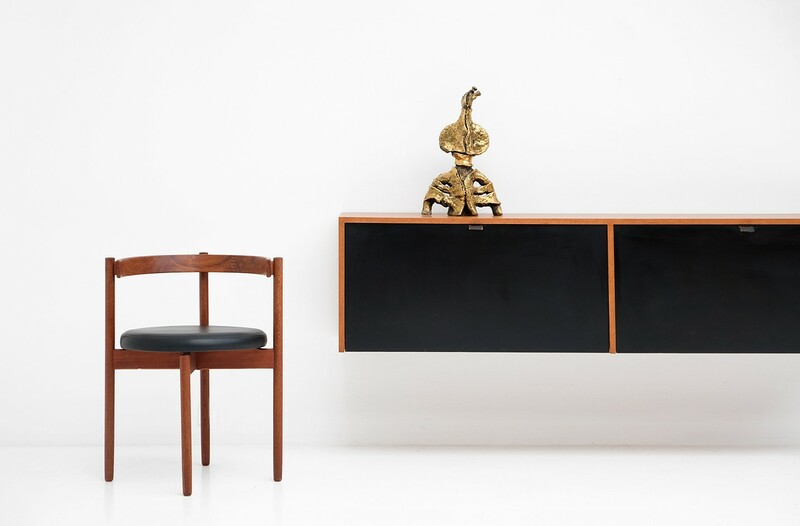 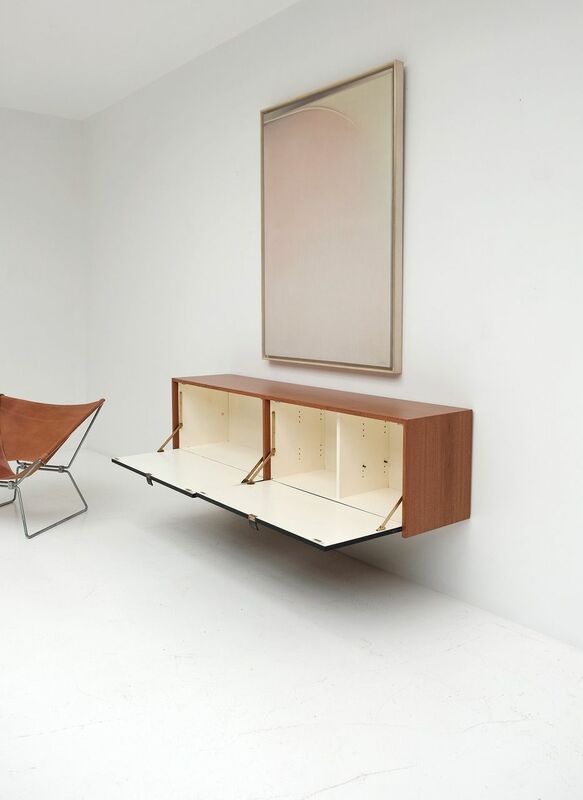 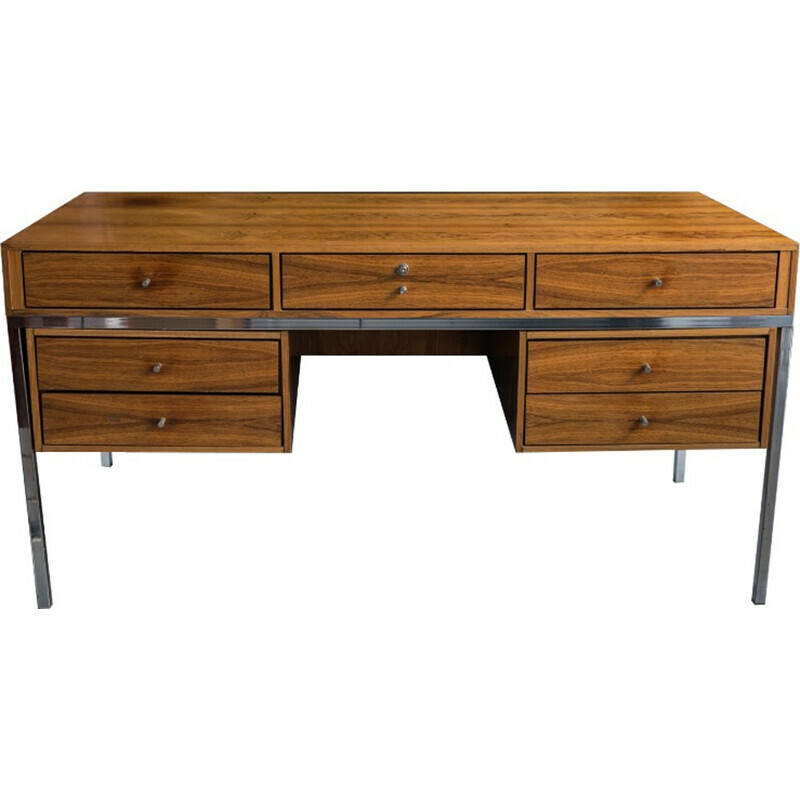 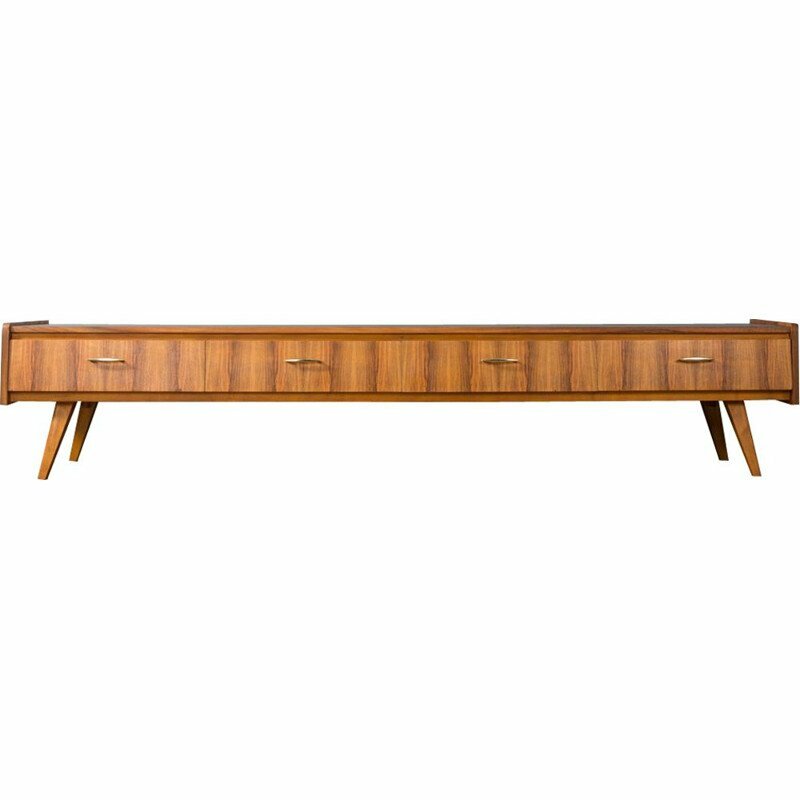 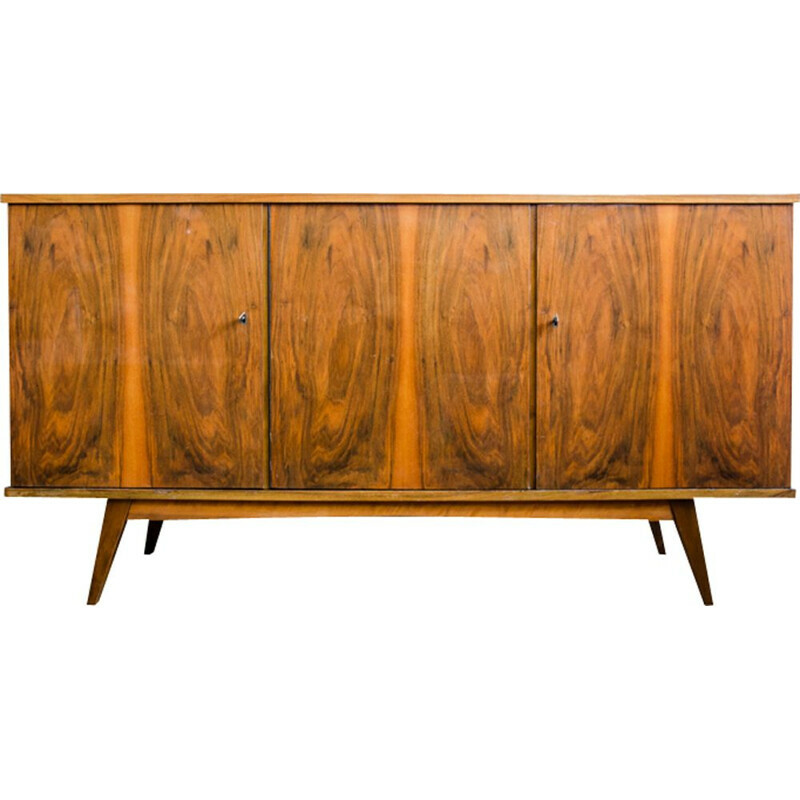 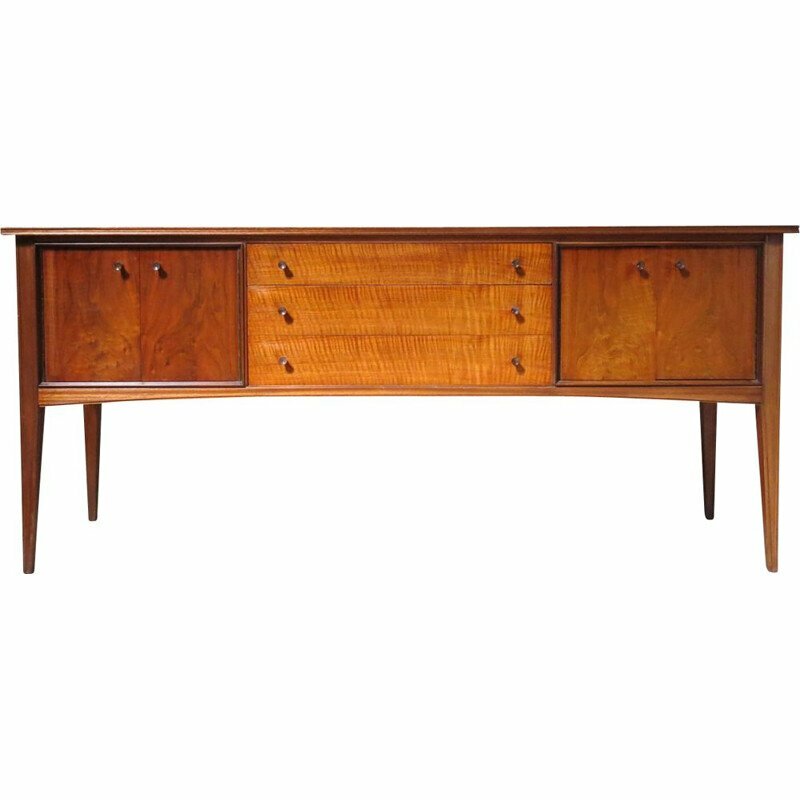 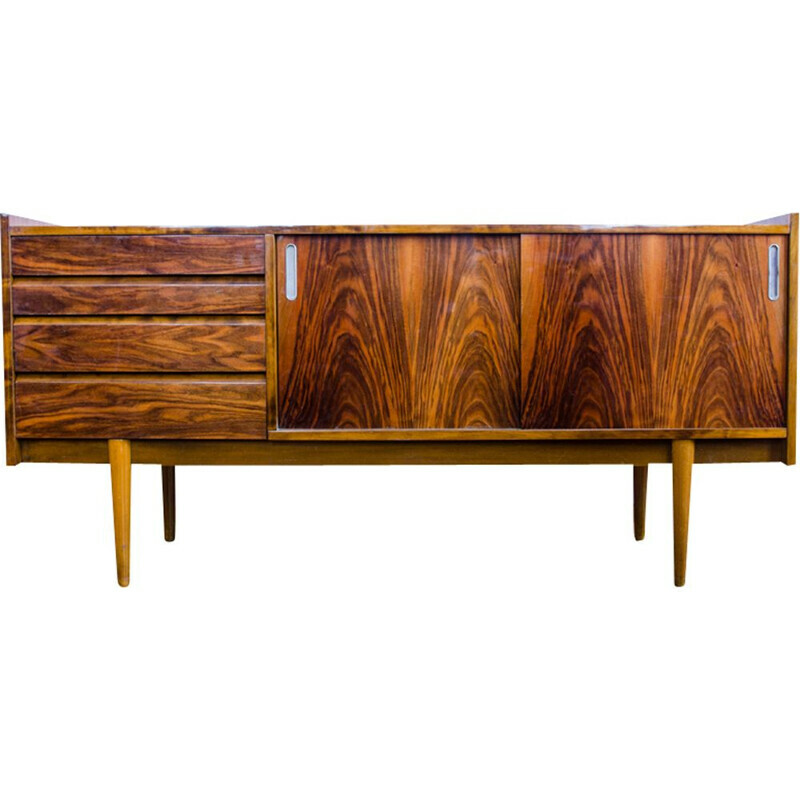 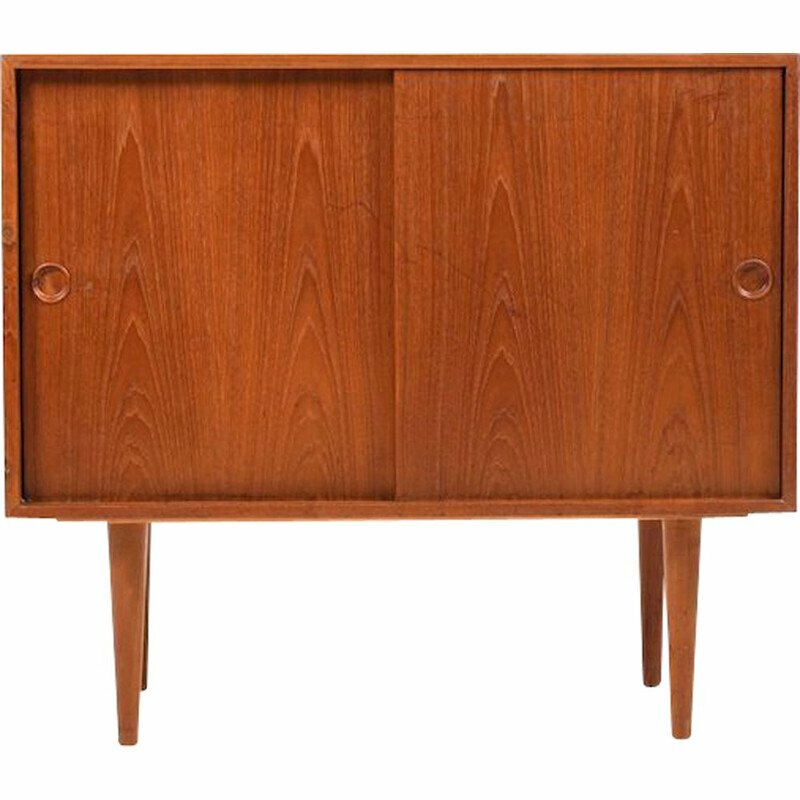 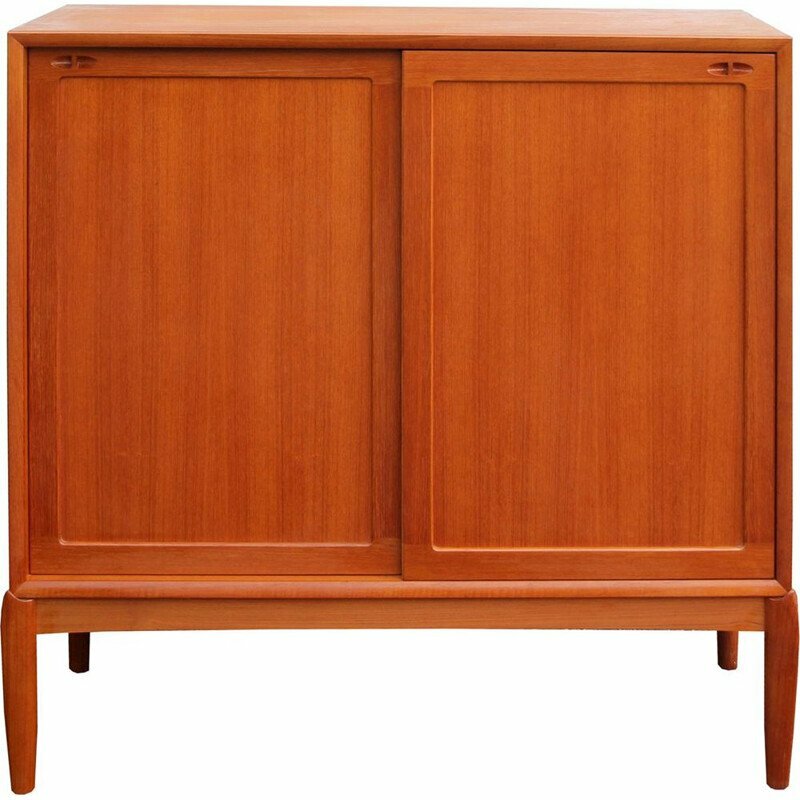 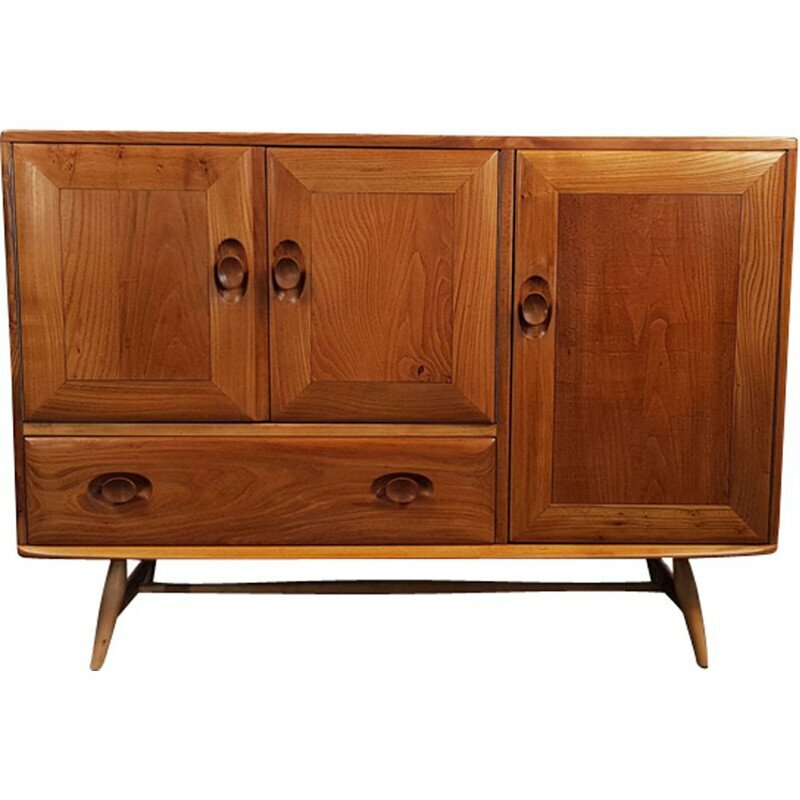 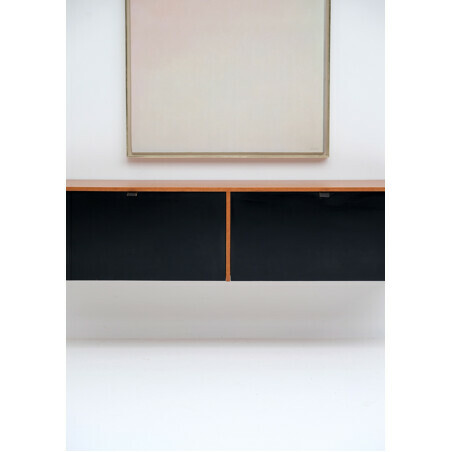 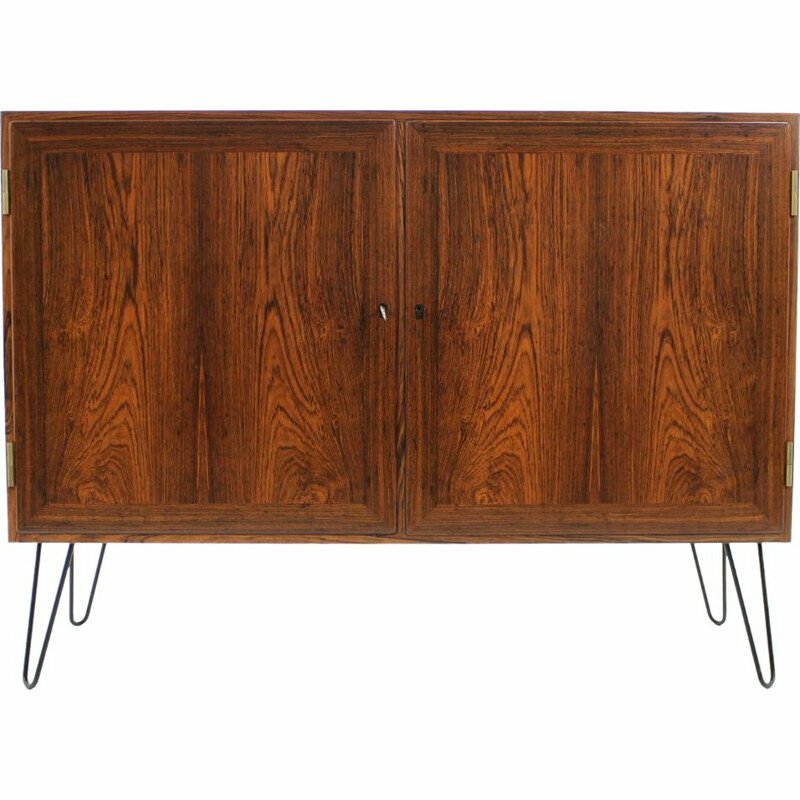 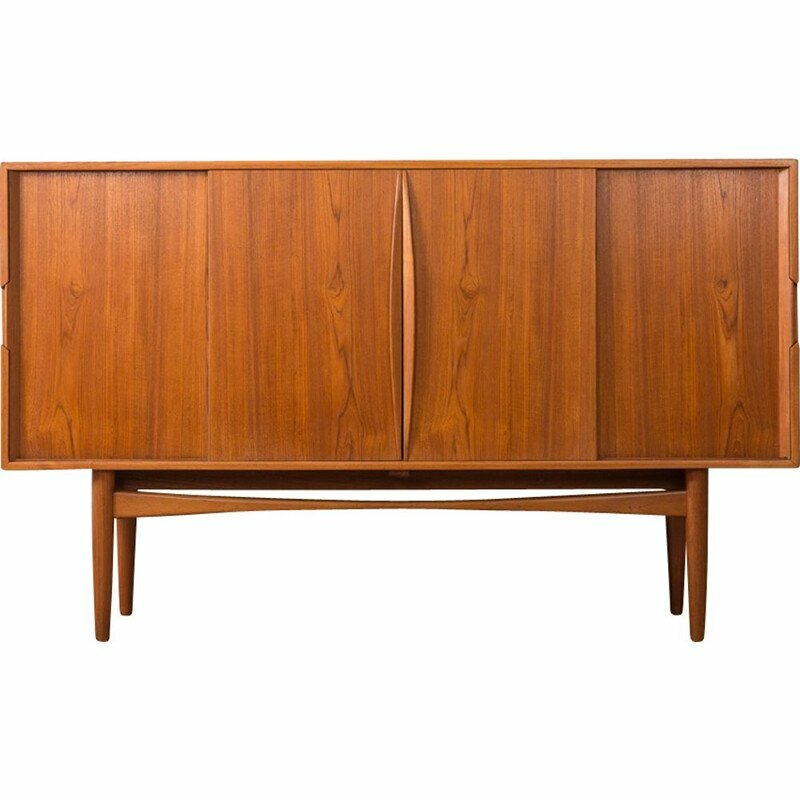 Teakwood wall mount storage cabinet or credenza designed by Florence Knoll. 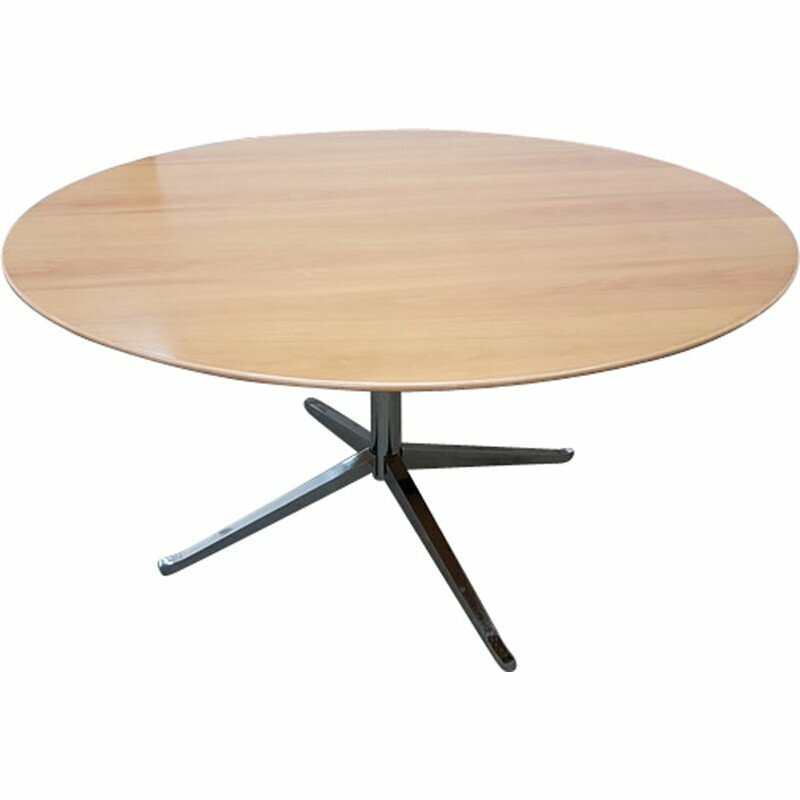 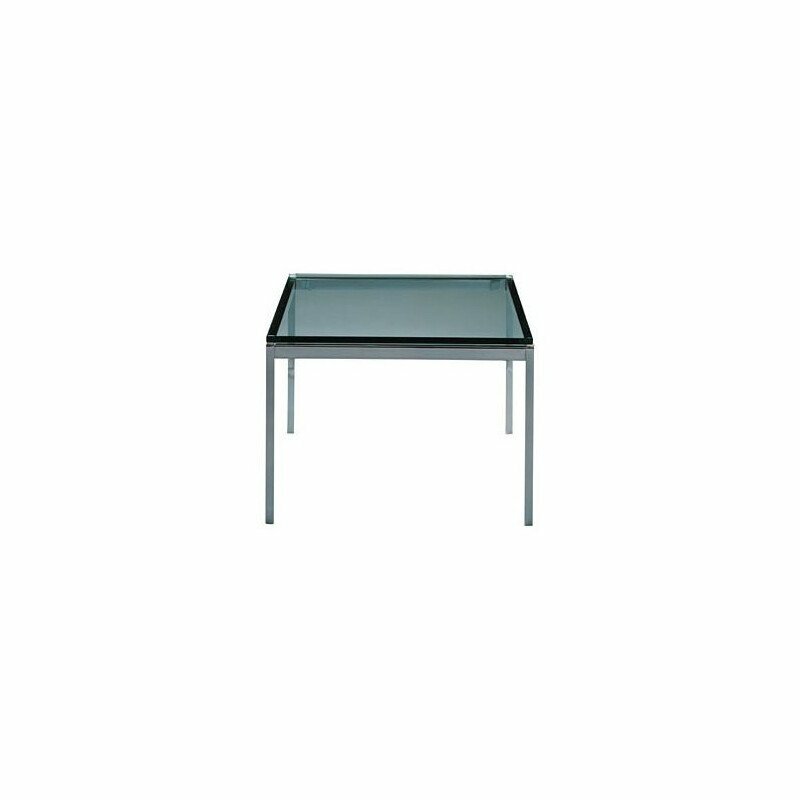 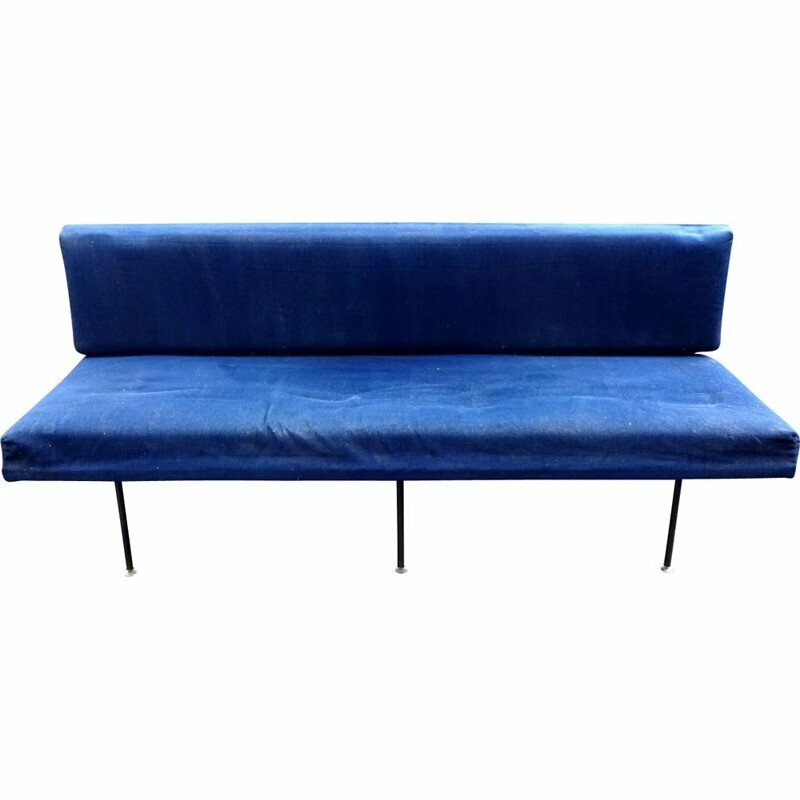 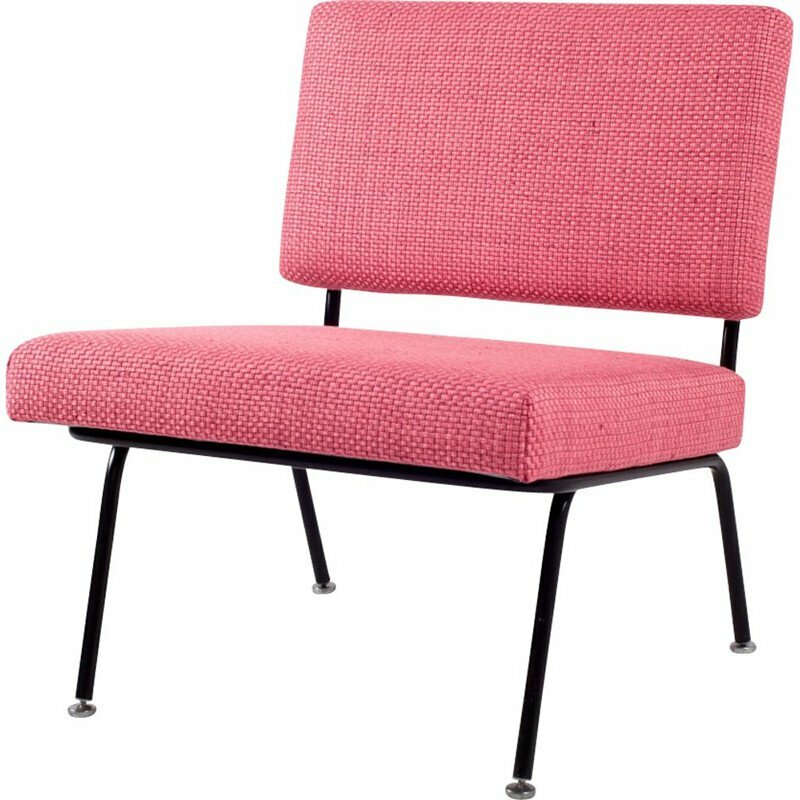 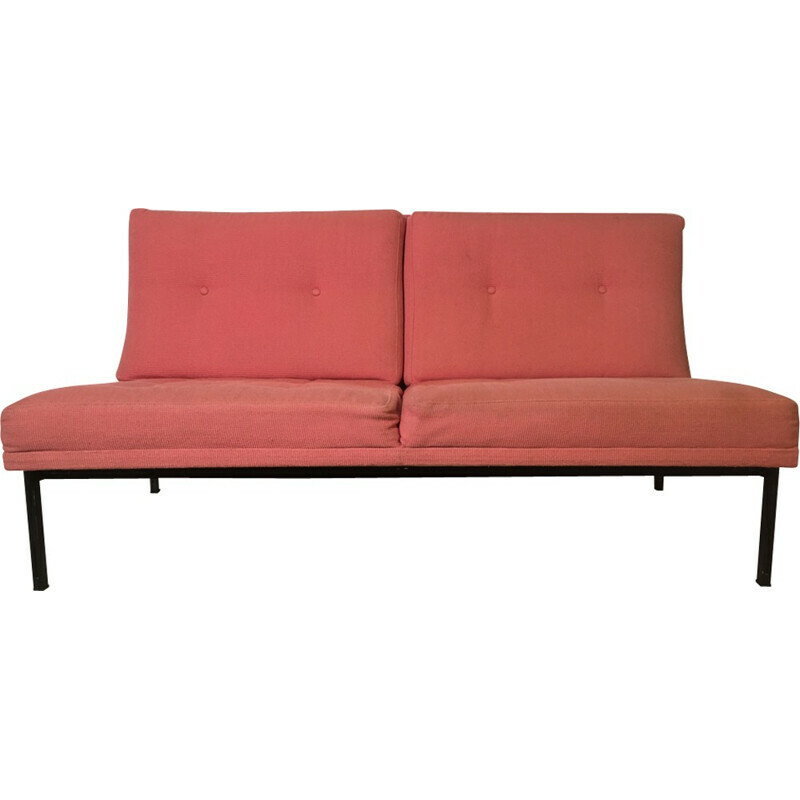 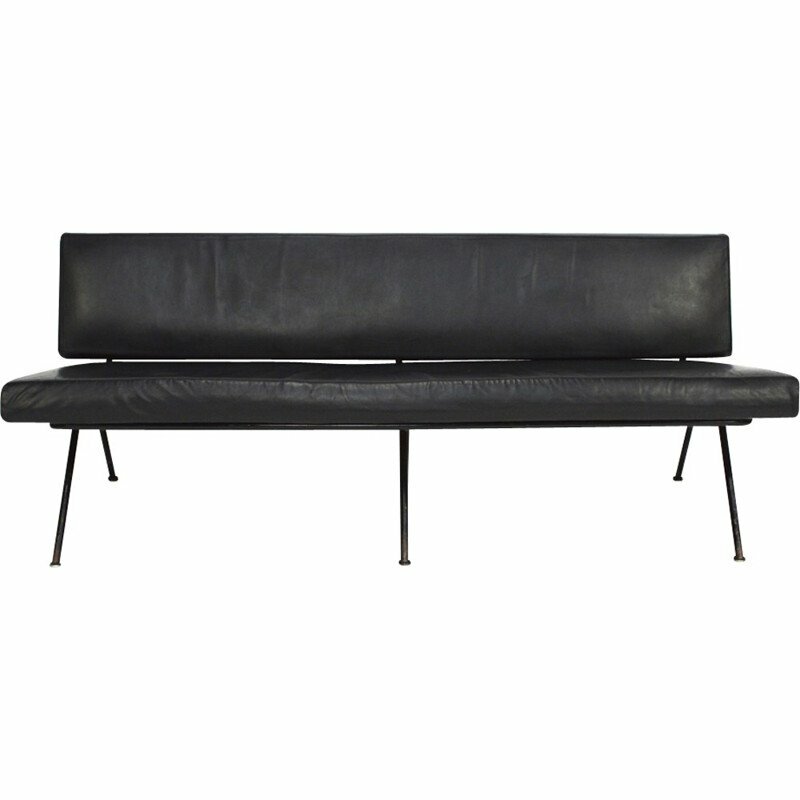 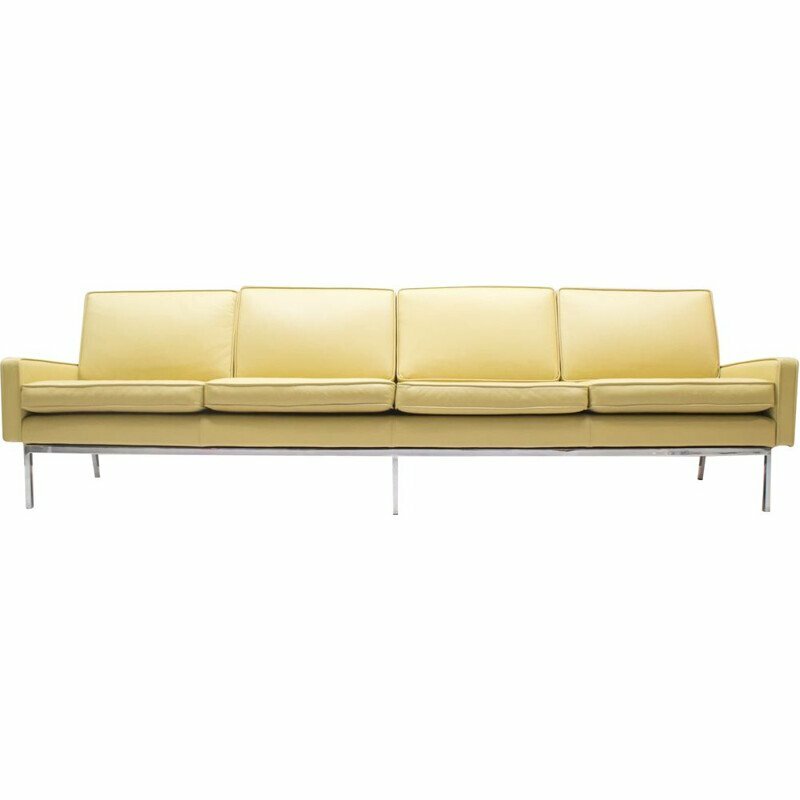 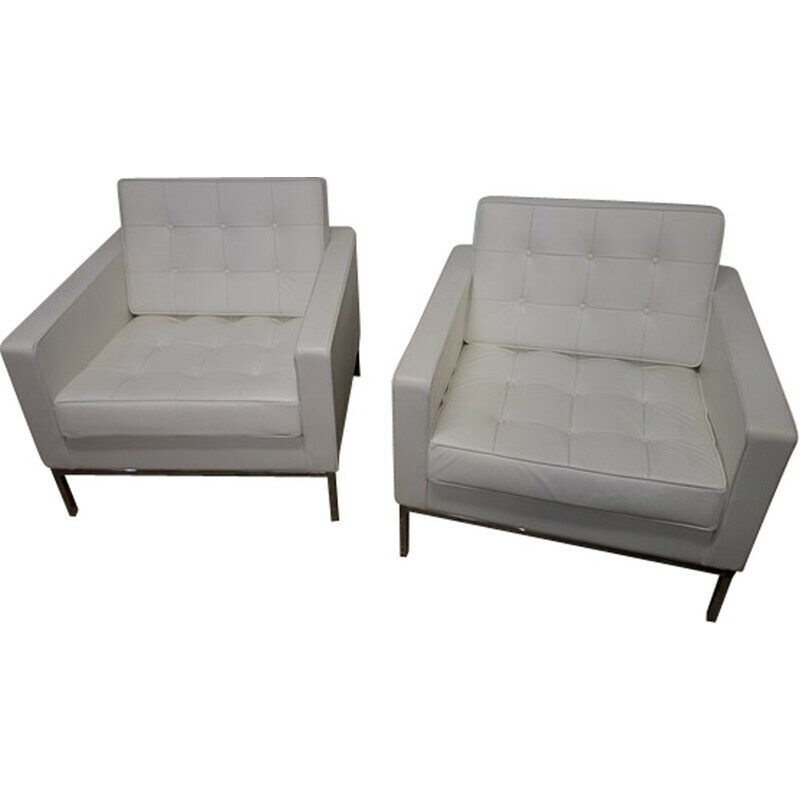 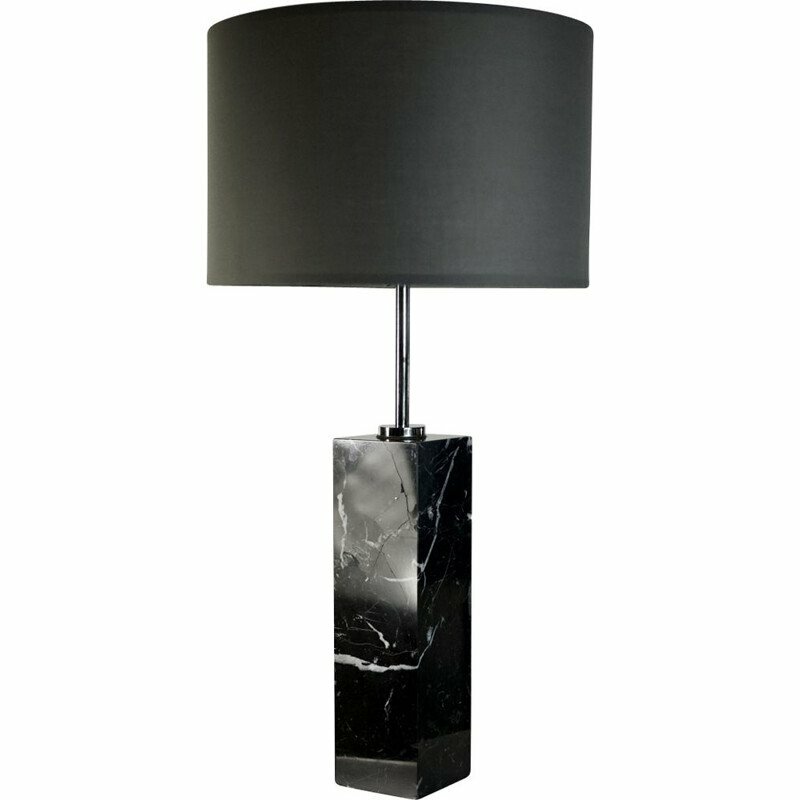 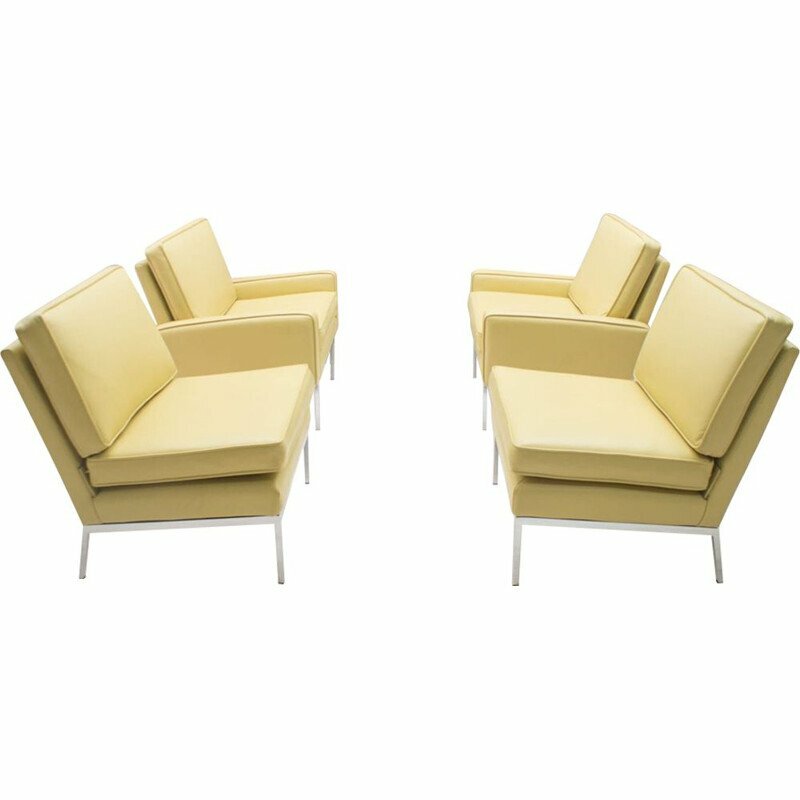 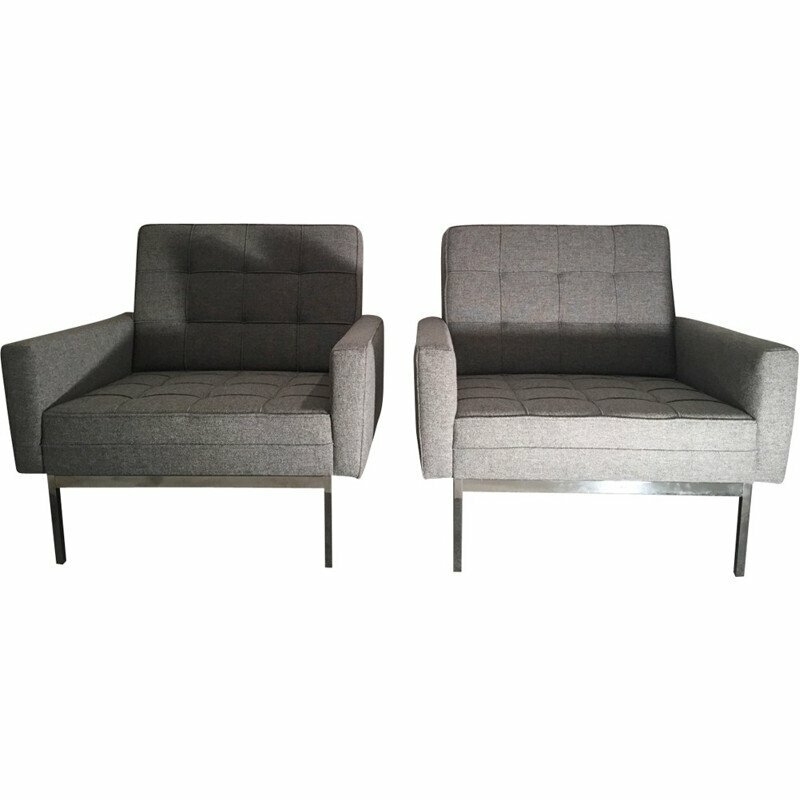 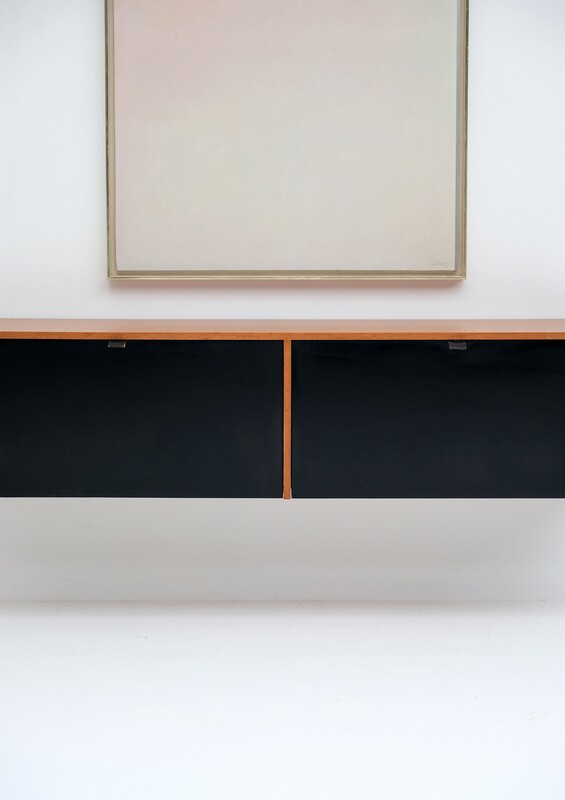 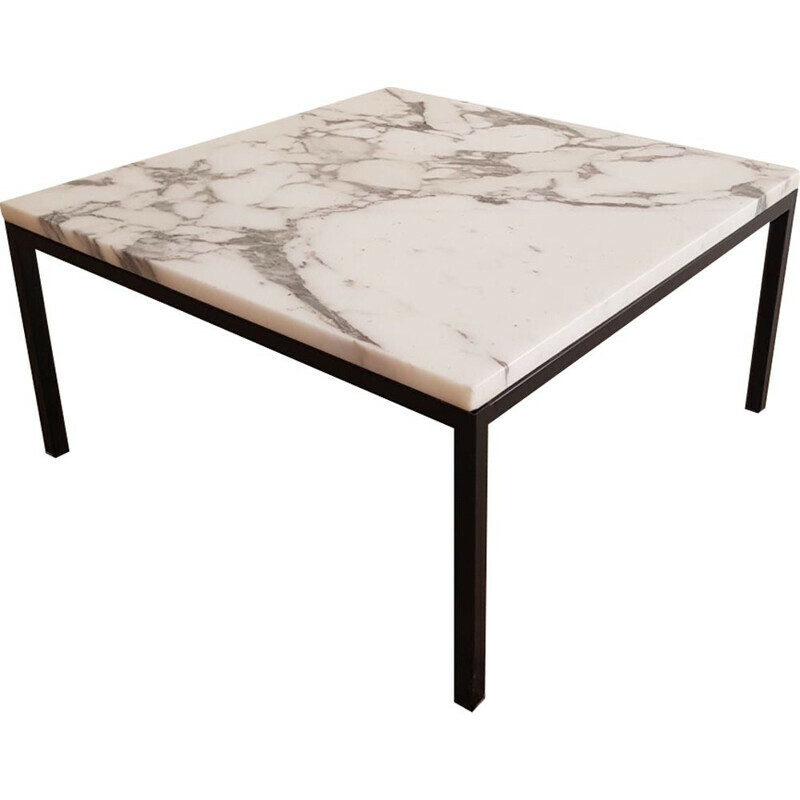 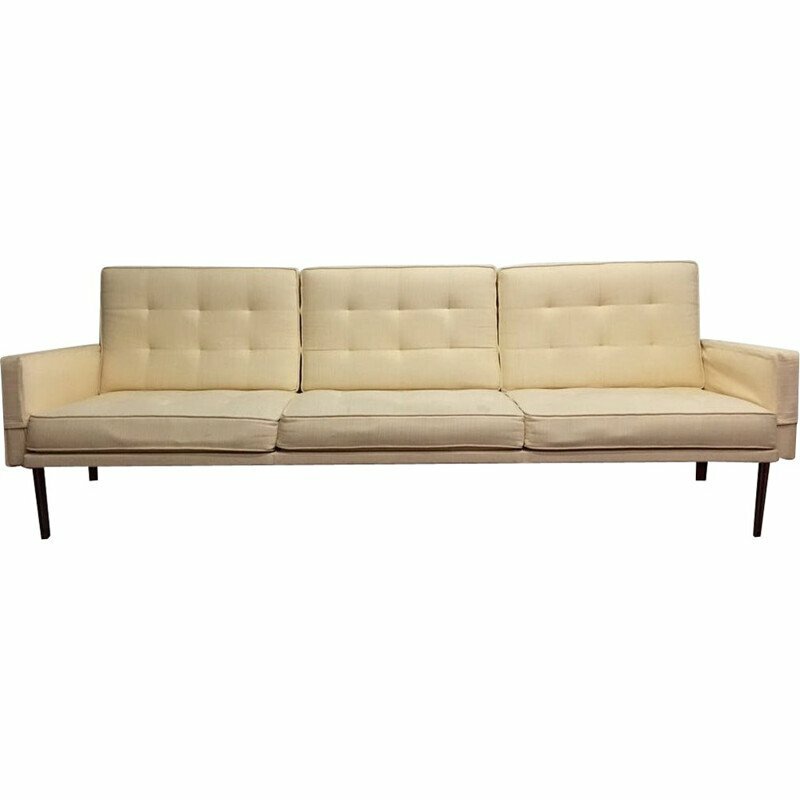 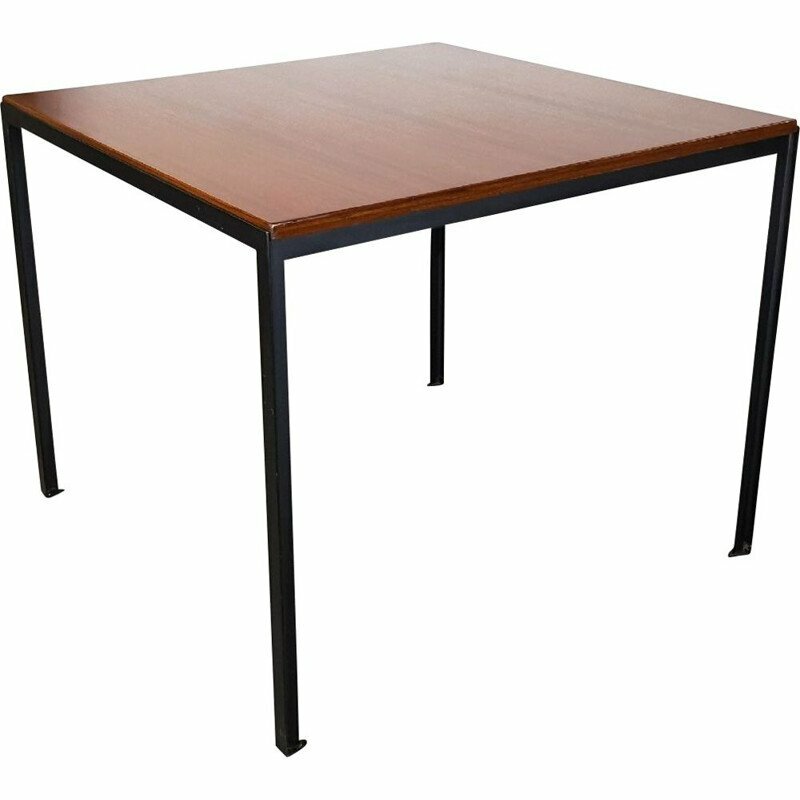 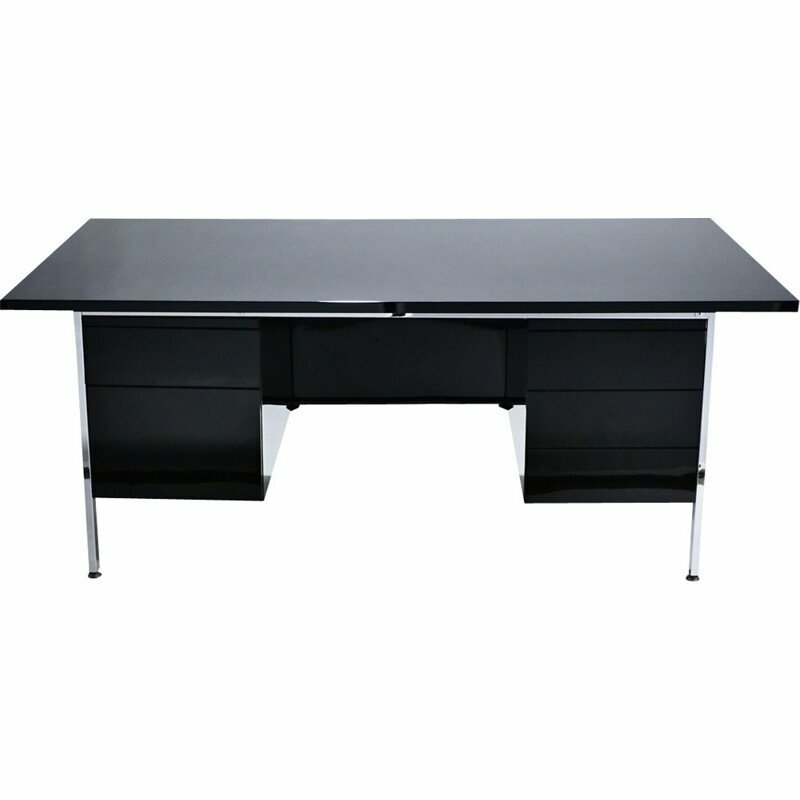 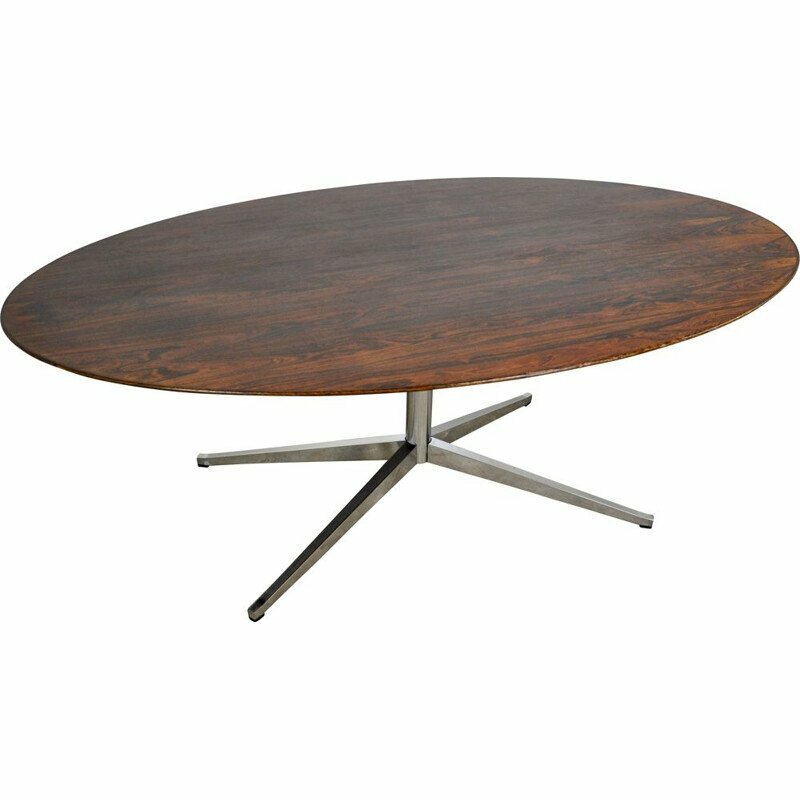 This early production has black lacquered doors and a cream white interior with glass shelves. 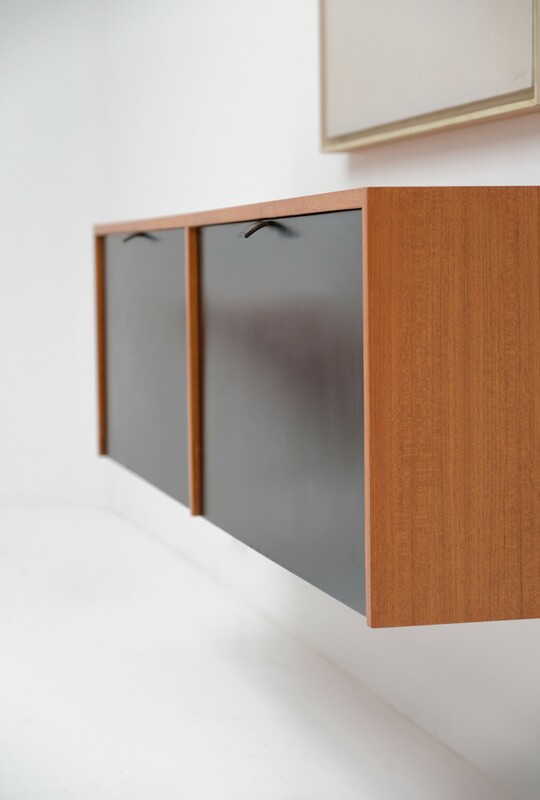 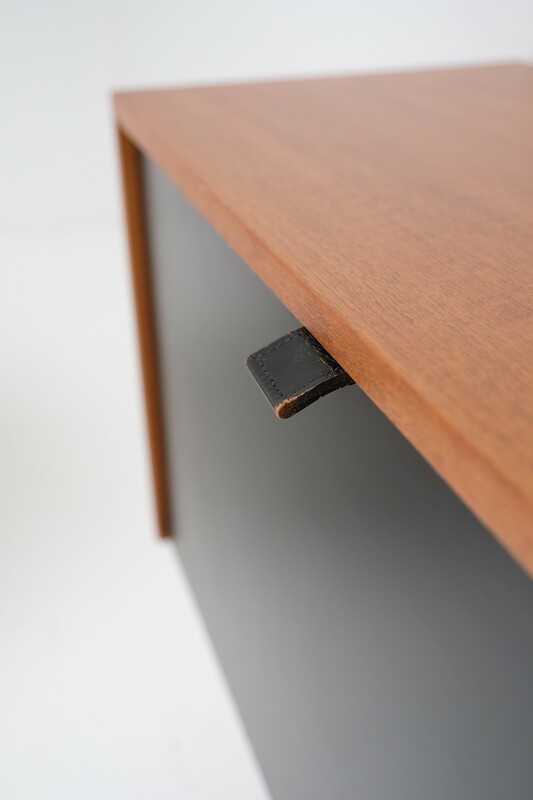 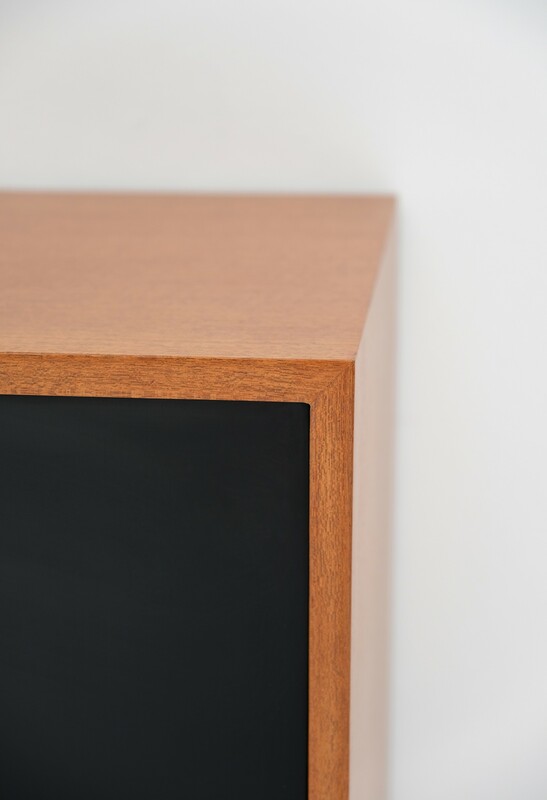 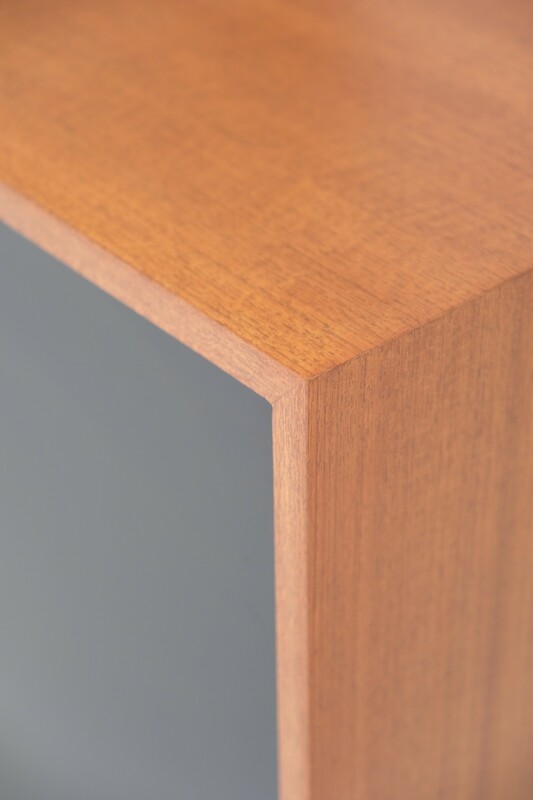 The cabinet has drop down doors revealing adjustable shelves and open storage. 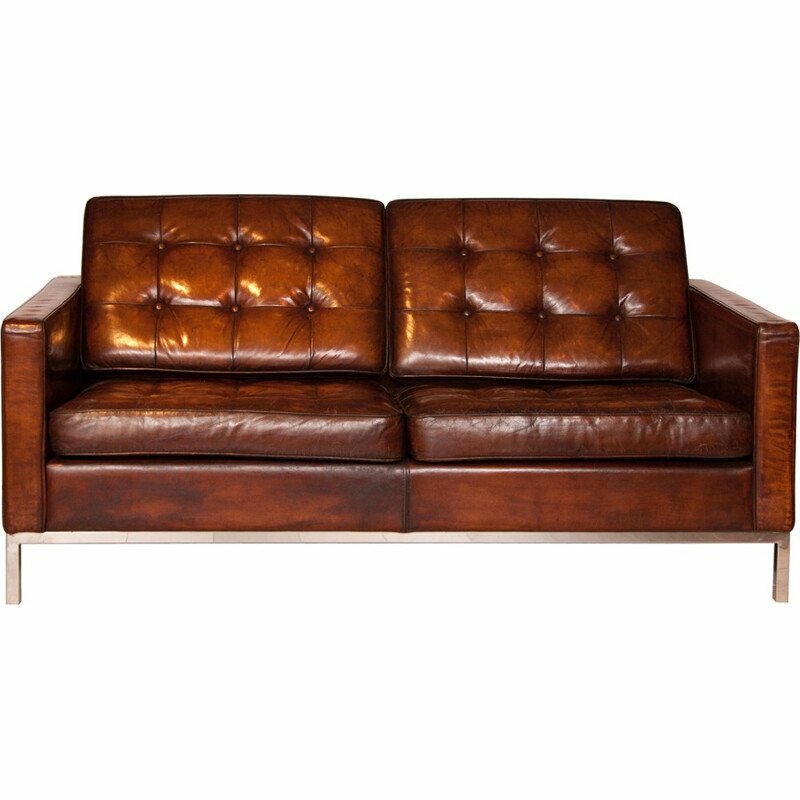 Original leather pulls show slight wear.